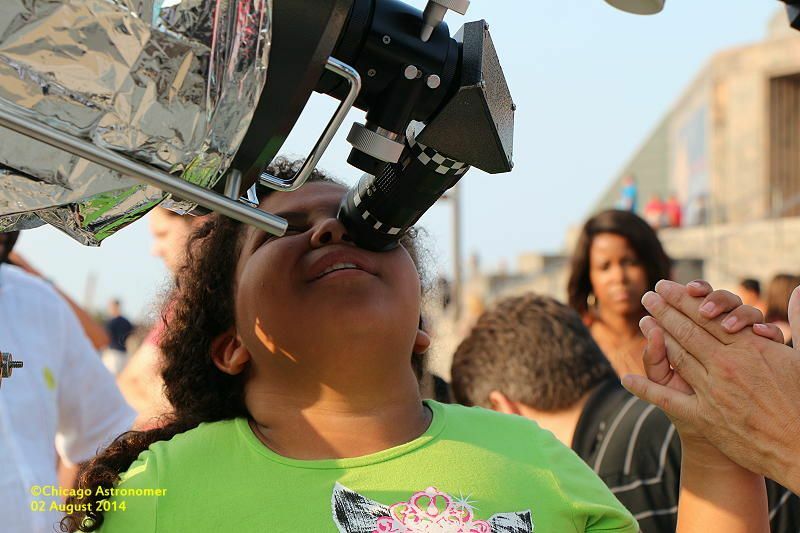 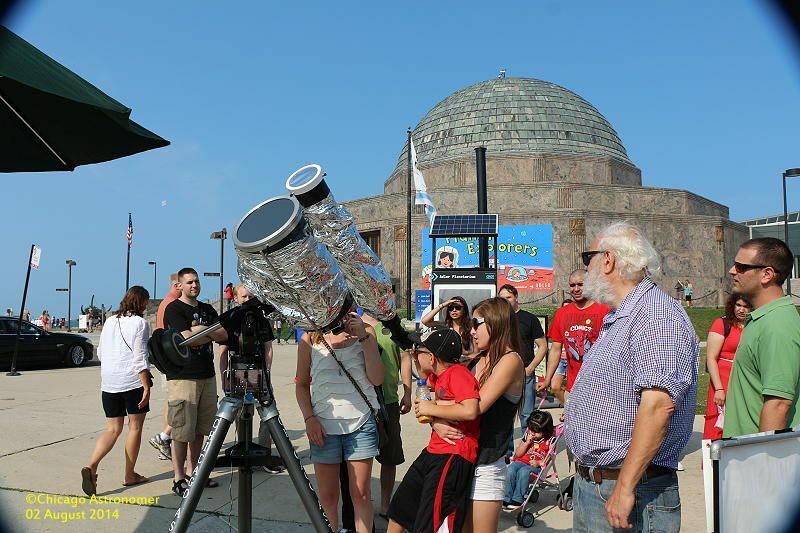 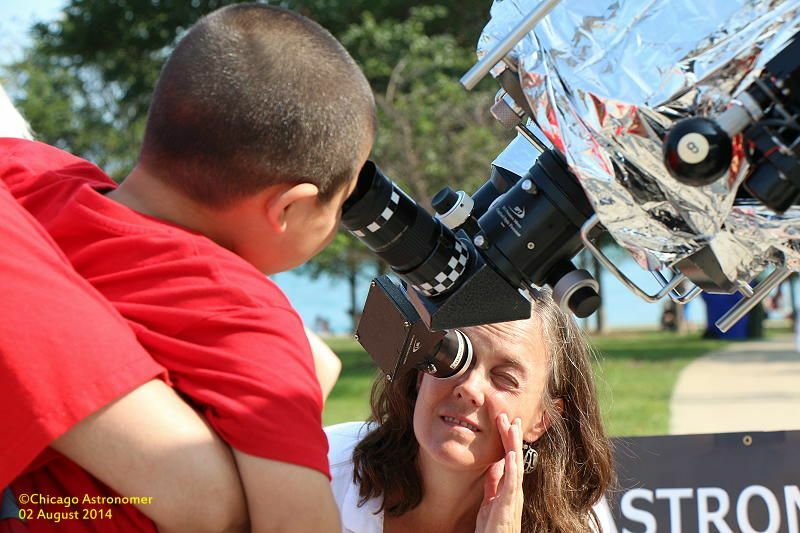 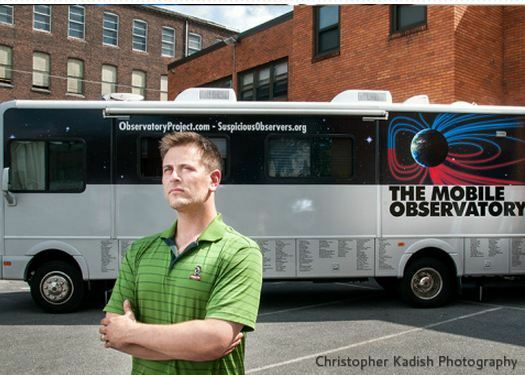 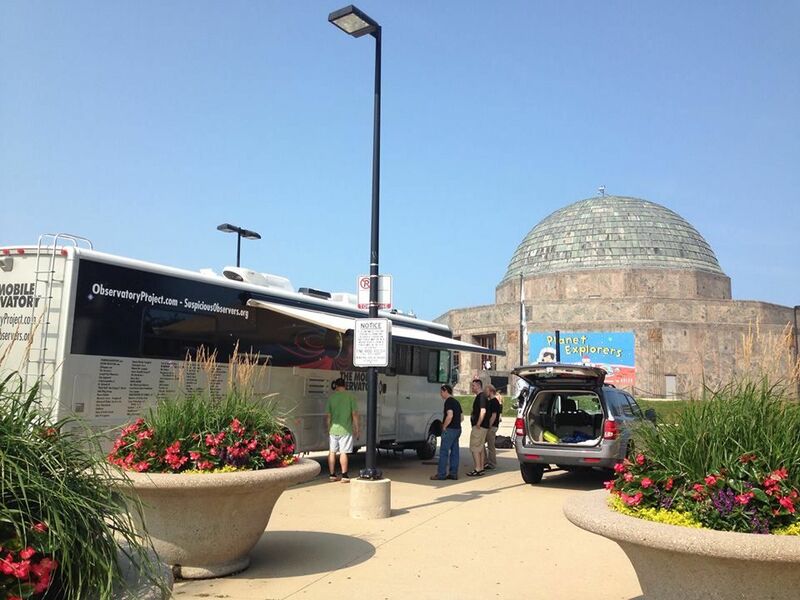 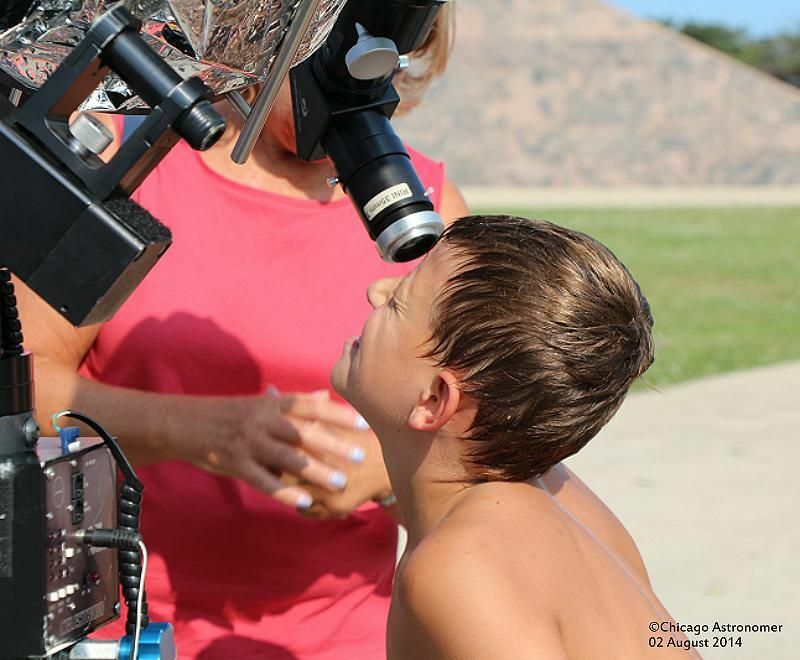 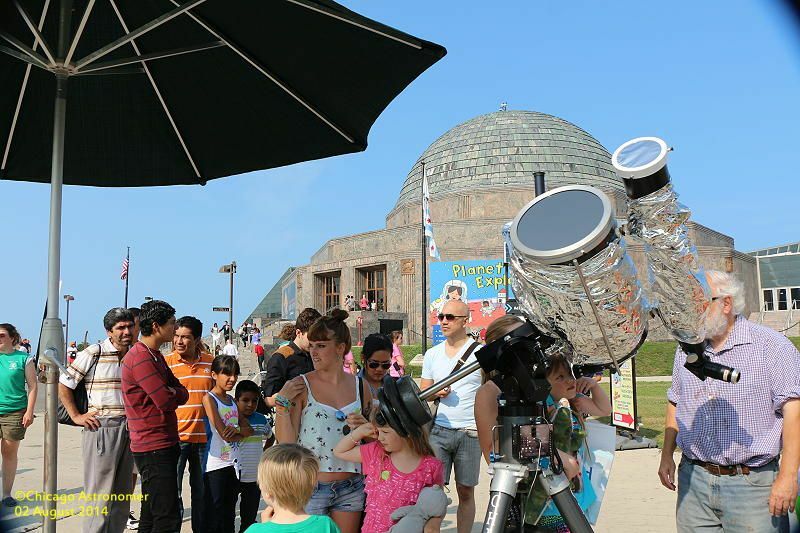 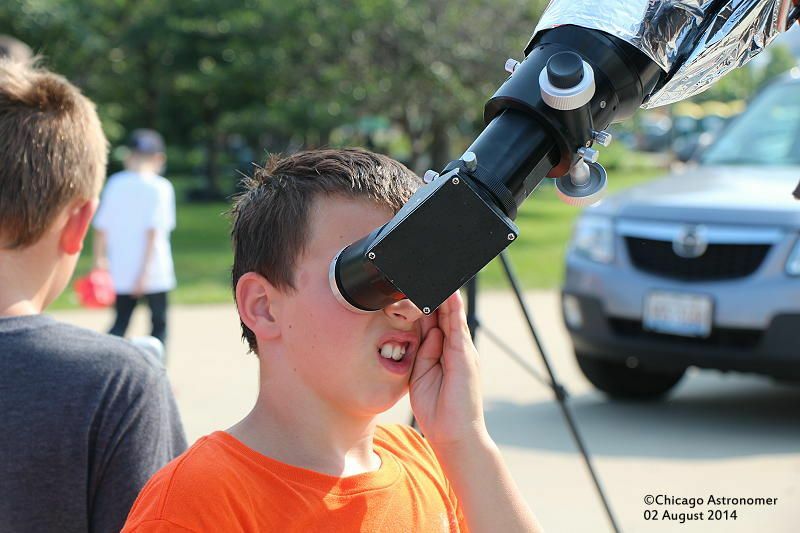 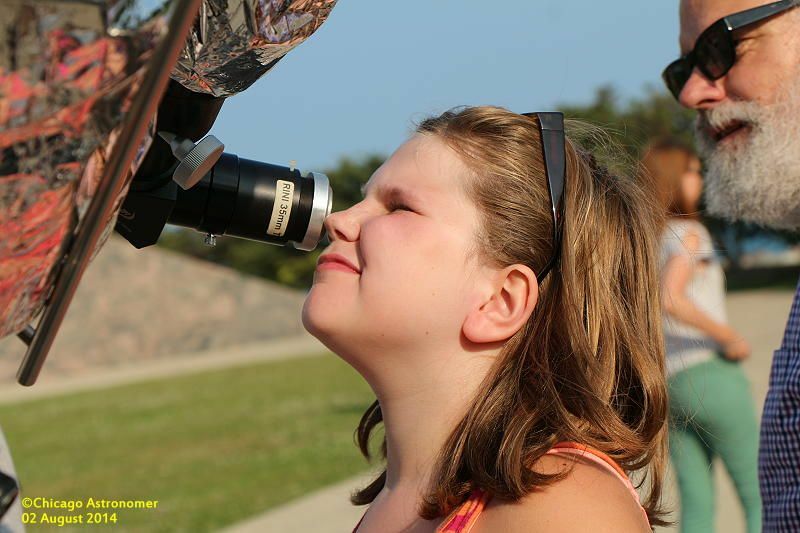 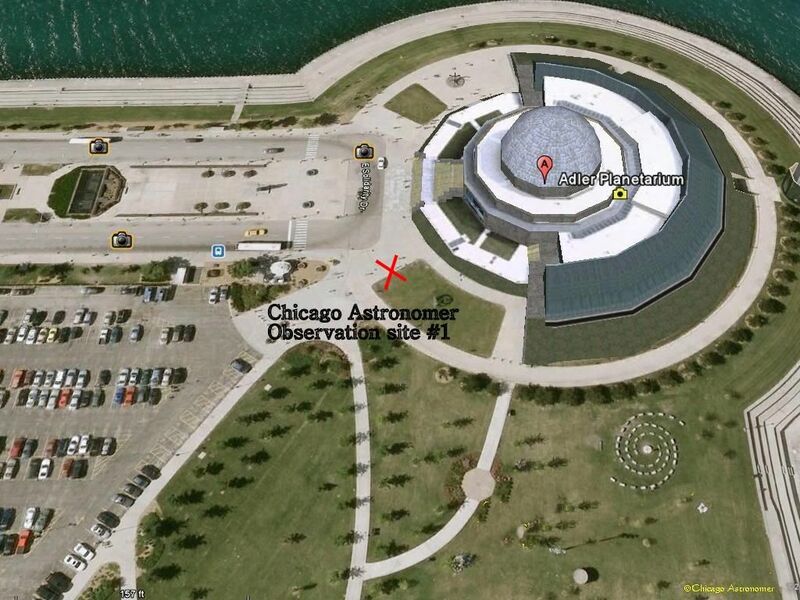 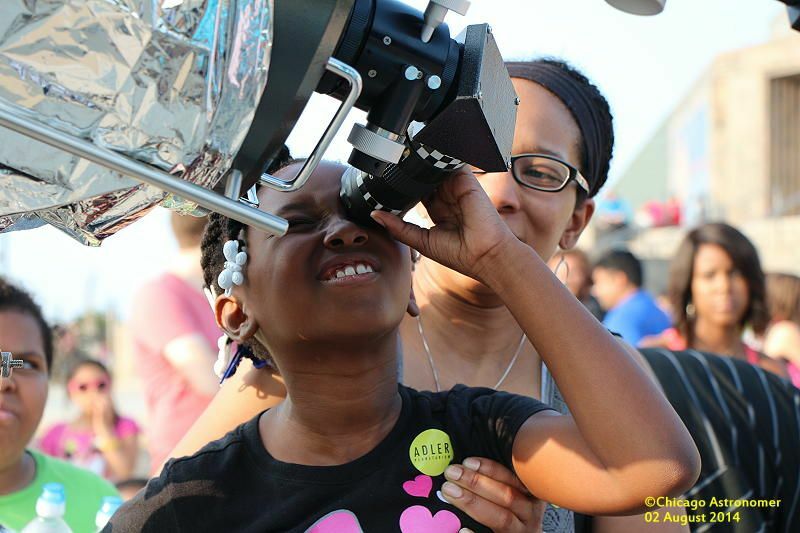 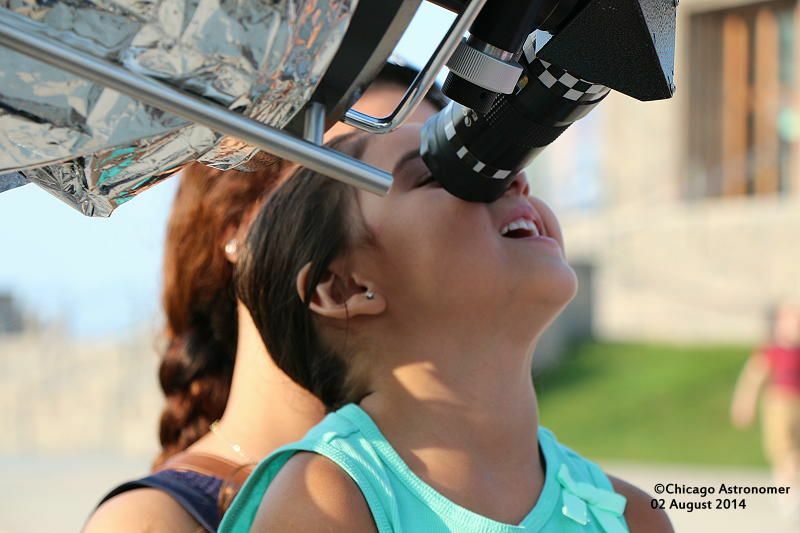 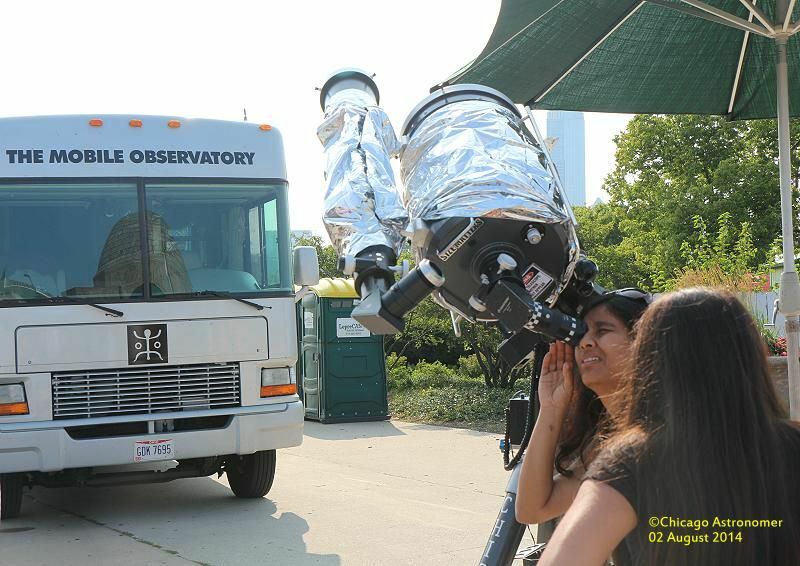 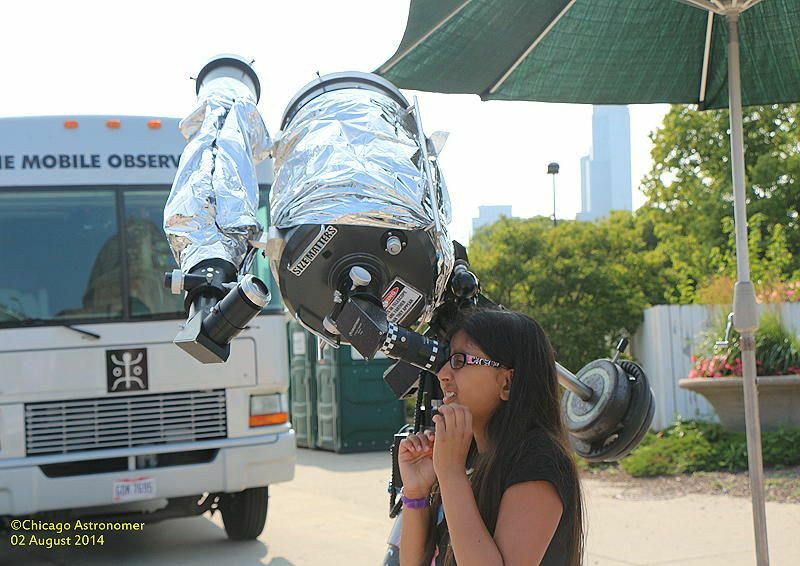 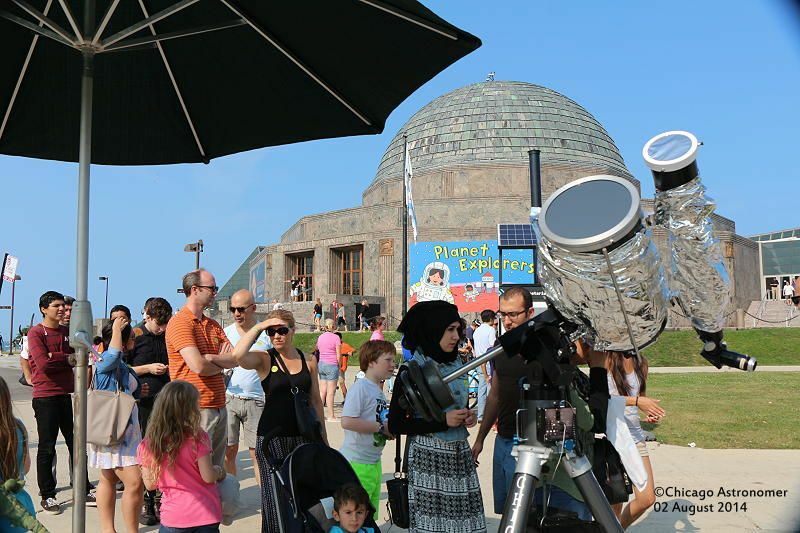 The Chicago Astronomer and the Chicago Park District has the great opportunity to host the Mobile Observatory in their stop in Chicago this weekend. 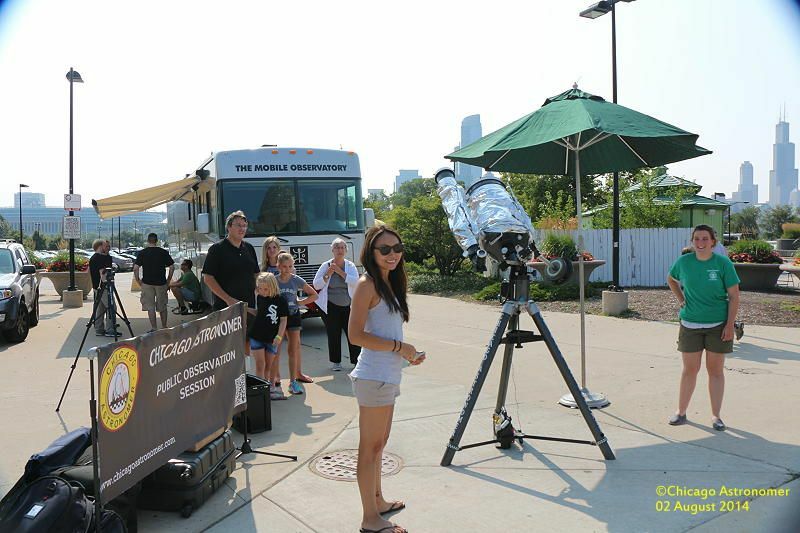 The Tour bus has visited many locales throughout North America, sharing news and solar views with the interested public. 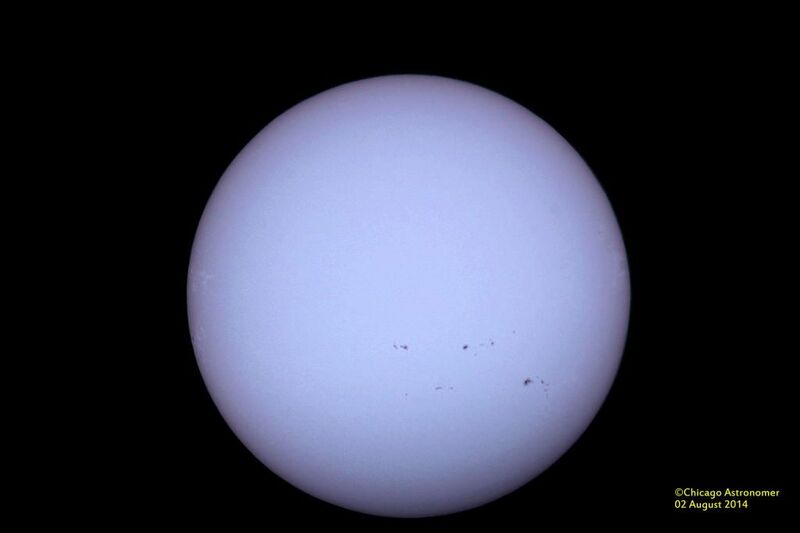 I have come across it from time to time and it's a detailed account of the current solar status with a lot of solar data. 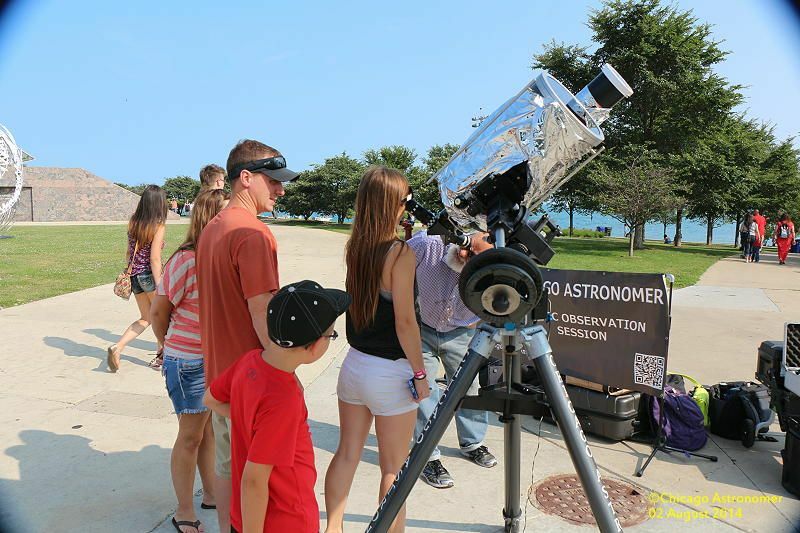 John also mentioned that the "Mobile Observatory" would be coming through Chicago soon and perhaps we could do a joint session. 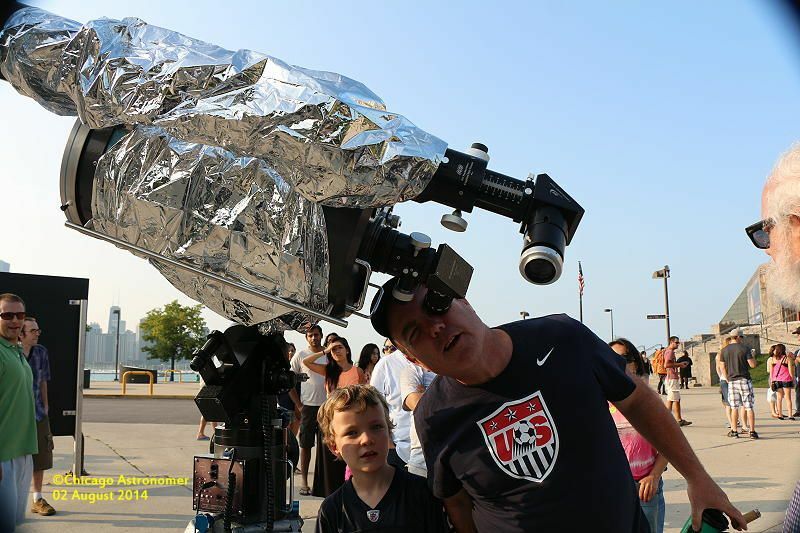 I thought it was a good idea. 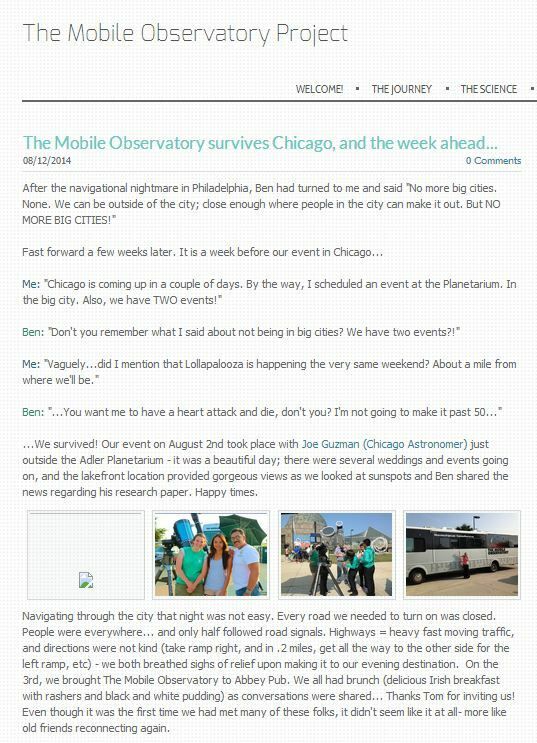 John, (on his own), contacted Ben- and his wife Katherine contacted me....and we have been in the planning stages for a few days....trying to make this happen. 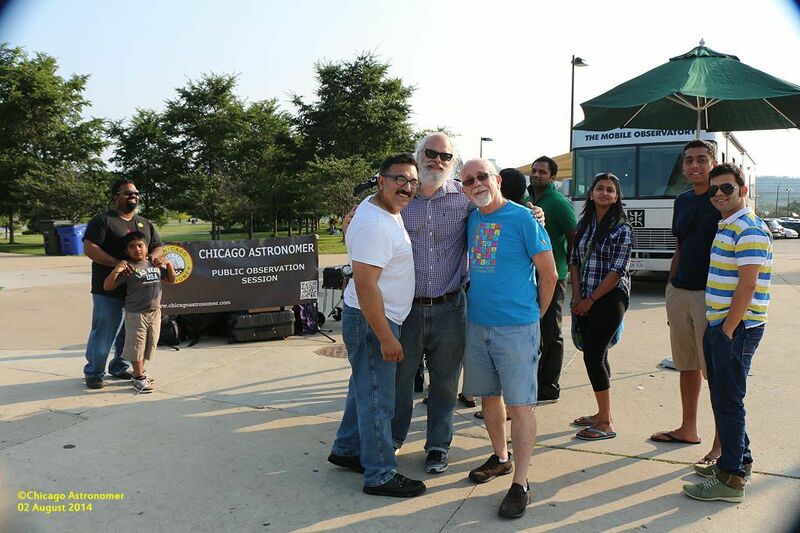 With support from the Chicago Park District...we secured the site and date. 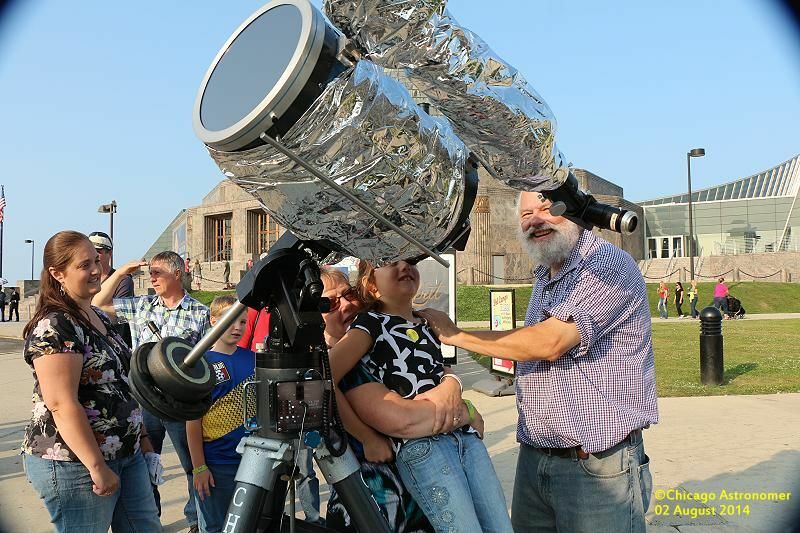 ...and together will share the solar disk, (if clear), with our fans and visitors. 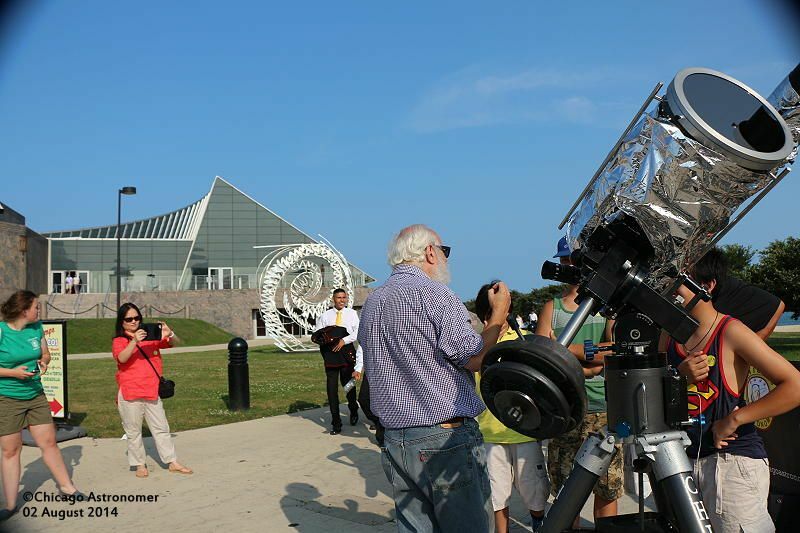 Even if cloudy, we will welcome our guests and discuss astronomy with all sky lovers. 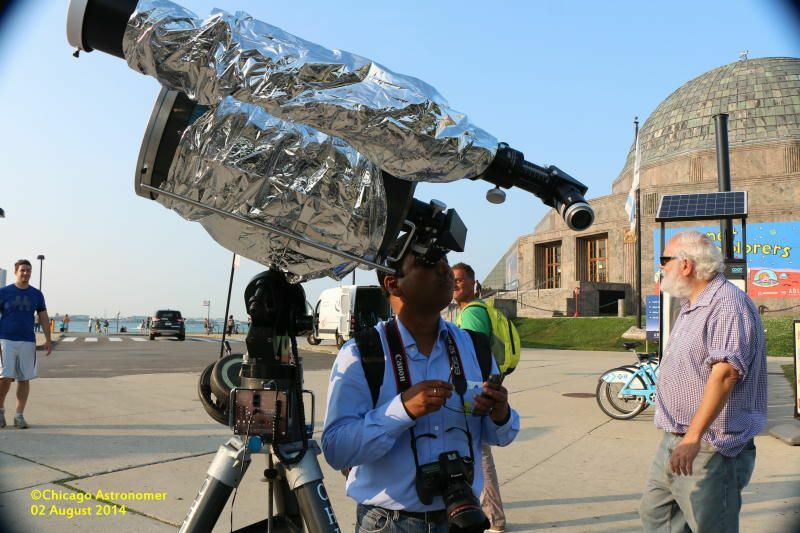 Now, I think it's cool that Ben and his wife Katherine have undertaken this endeavour, rolling through the United states and Canada, making numerous stops and discussing solar phenomenon with the public at his stops. 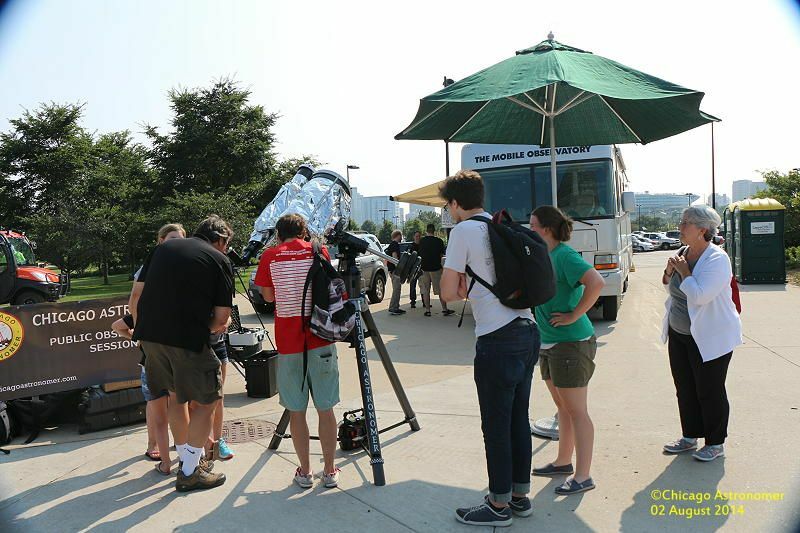 We are a solid go for today's solar activity with the Mobile Observatory. 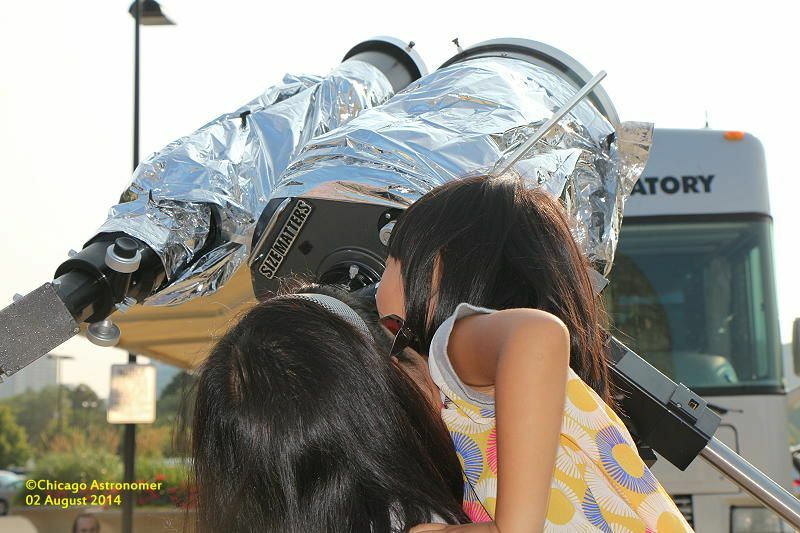 It's sunny out and looking good to share the face of the Sun with our fans. 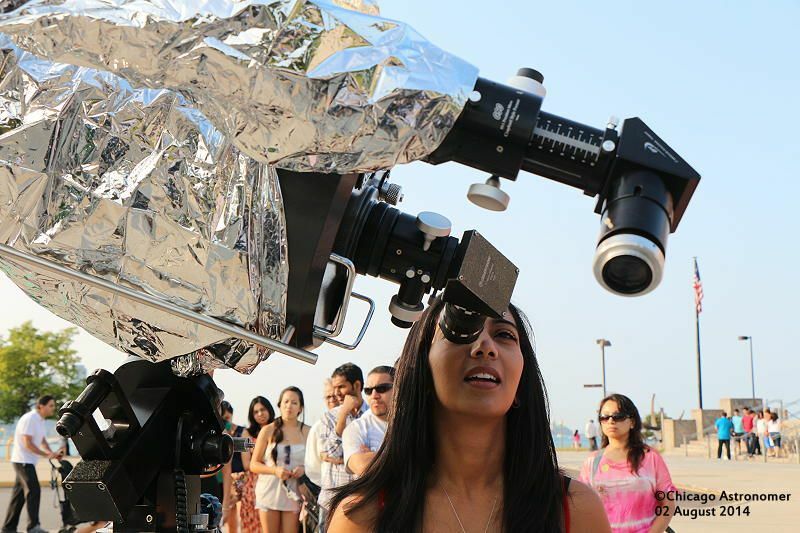 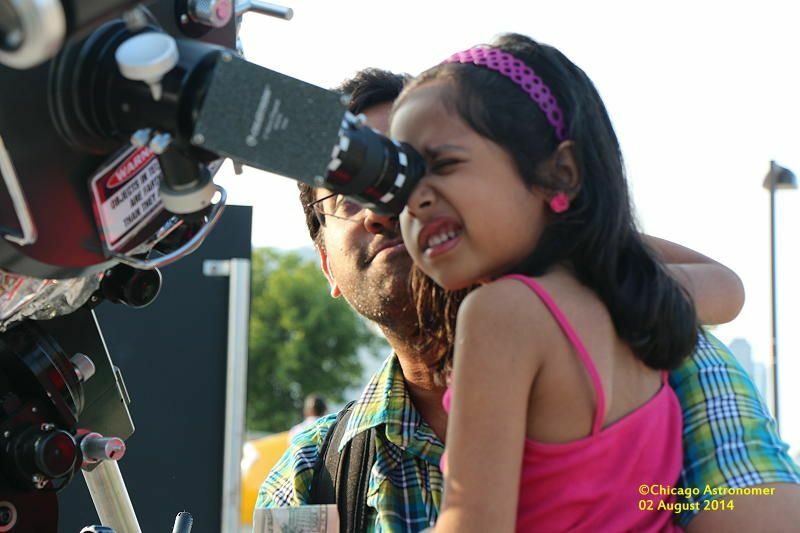 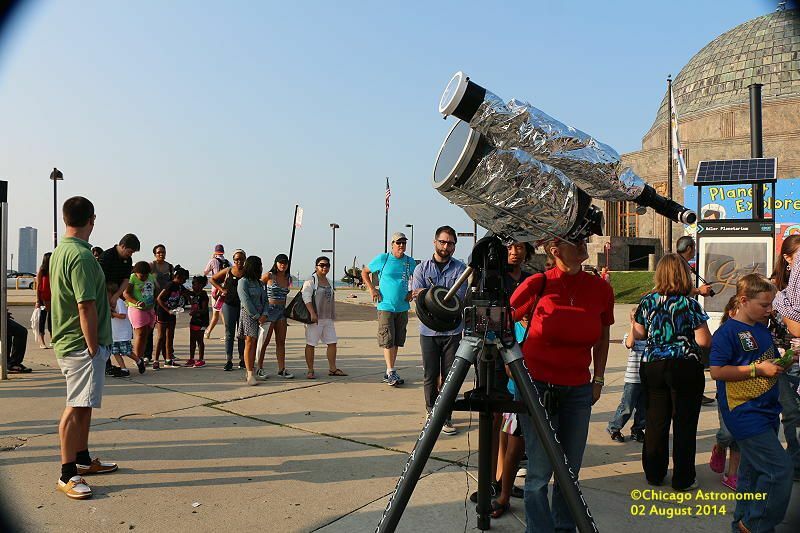 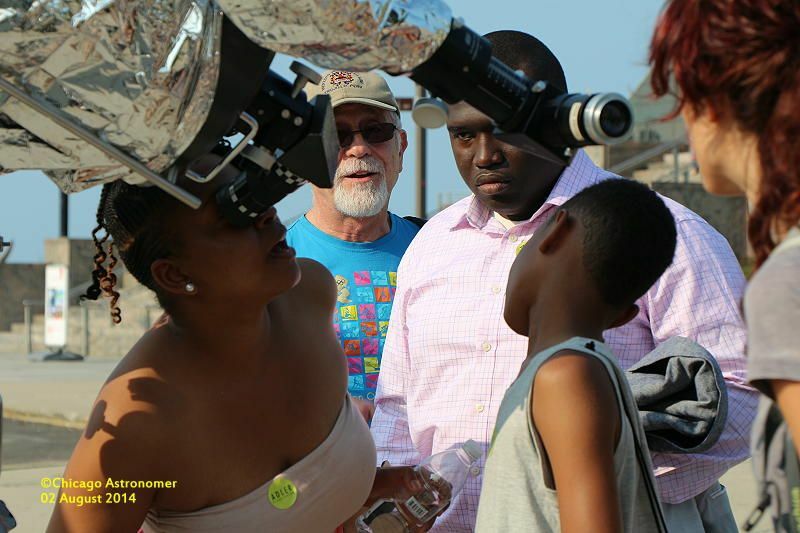 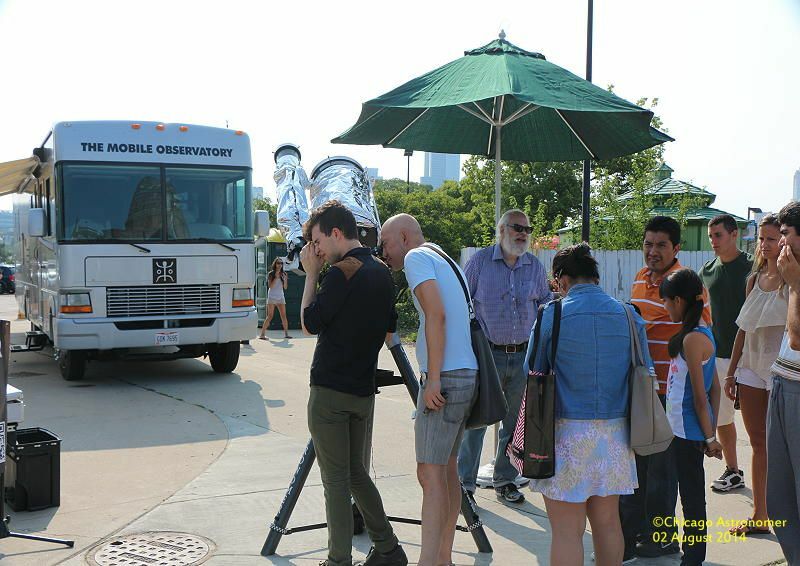 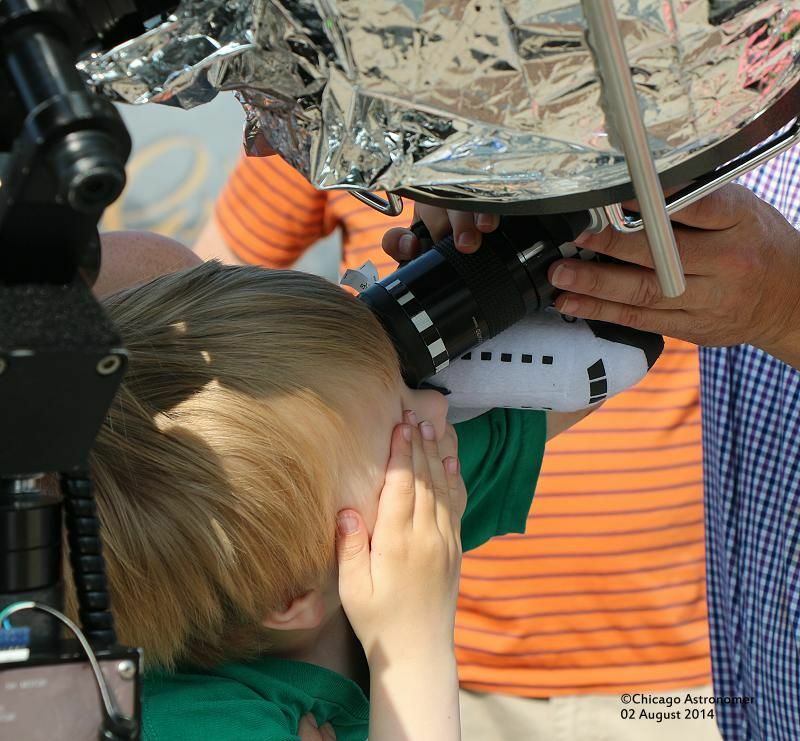 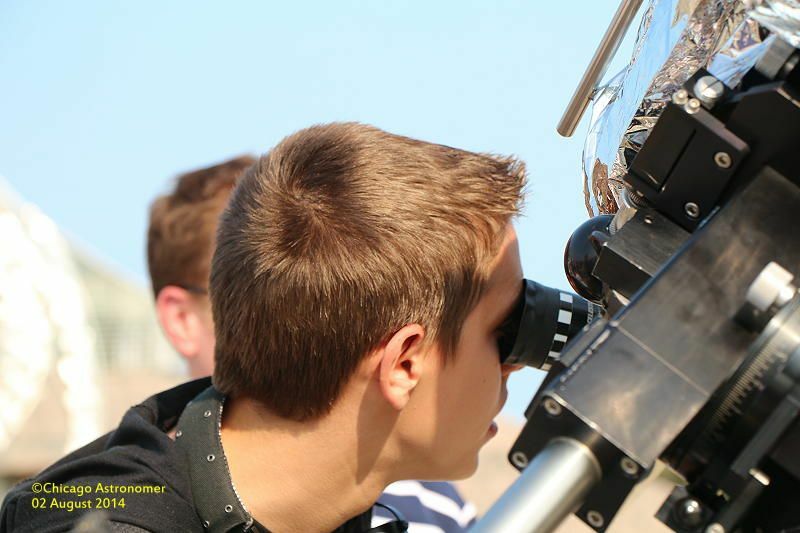 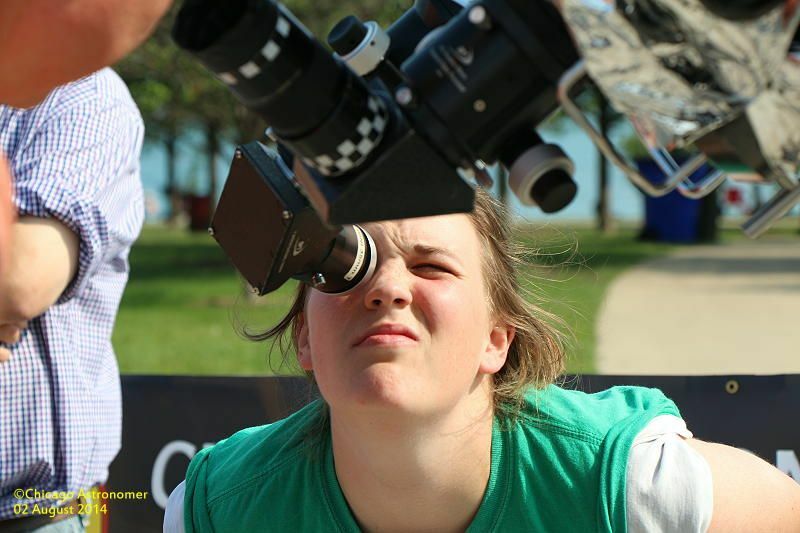 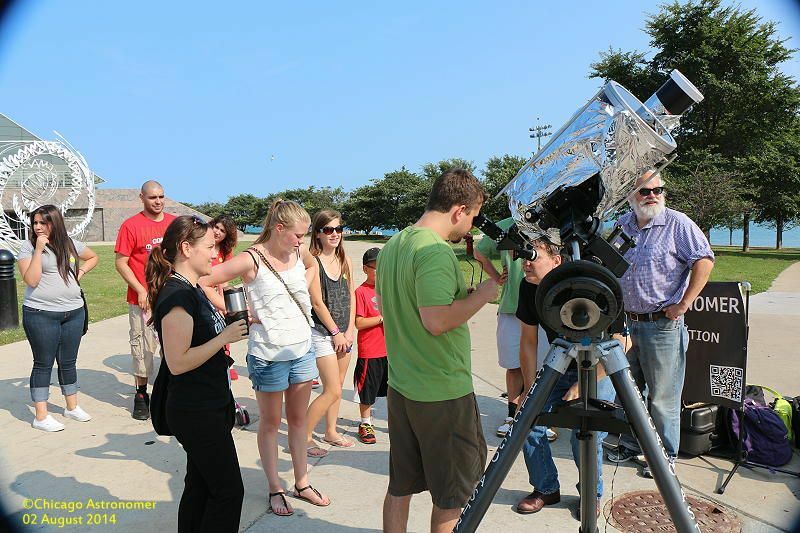 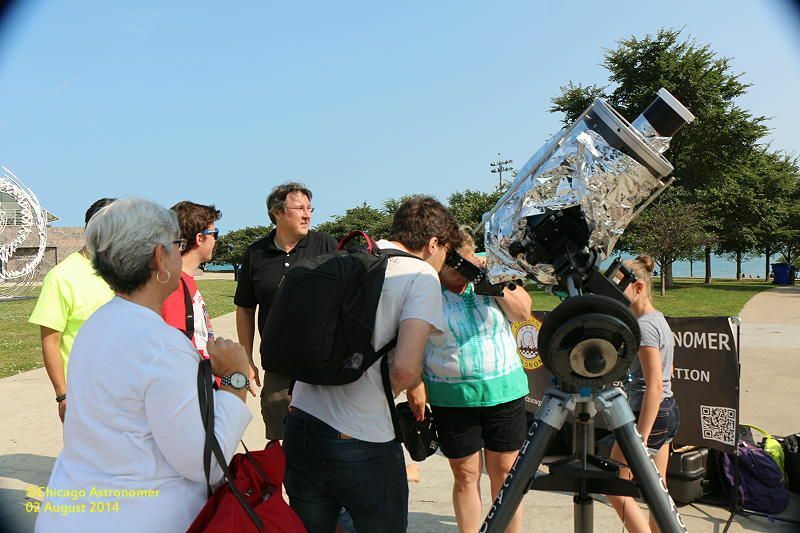 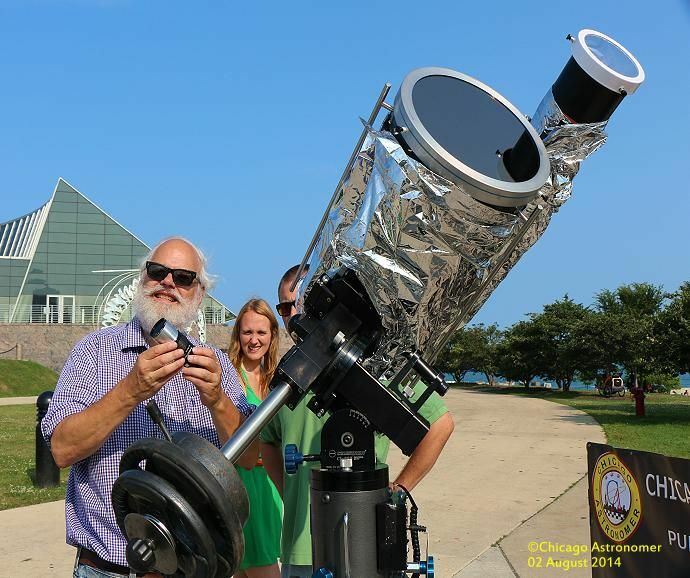 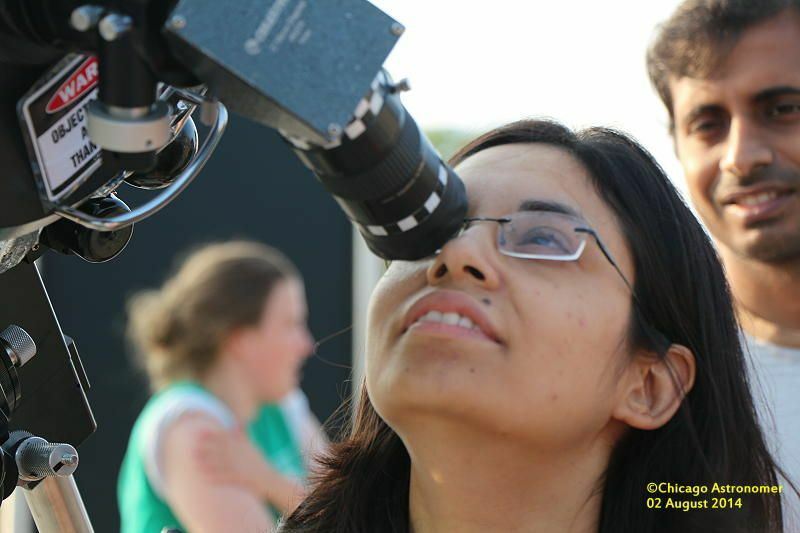 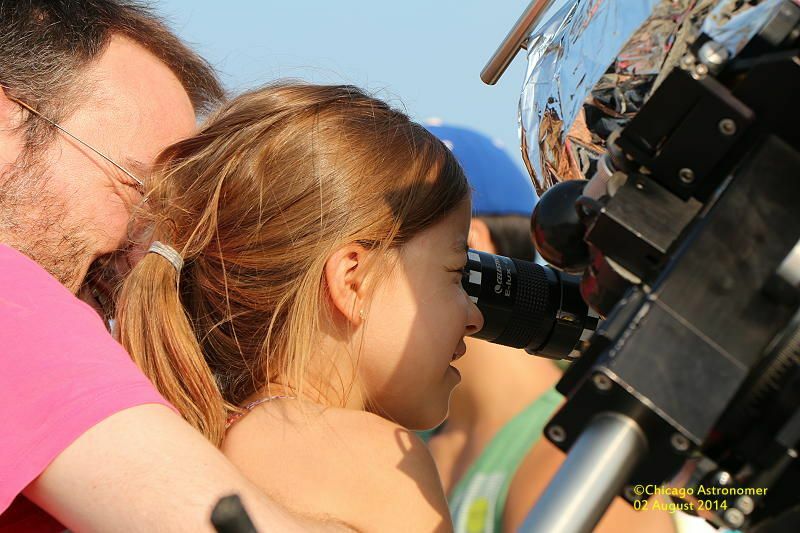 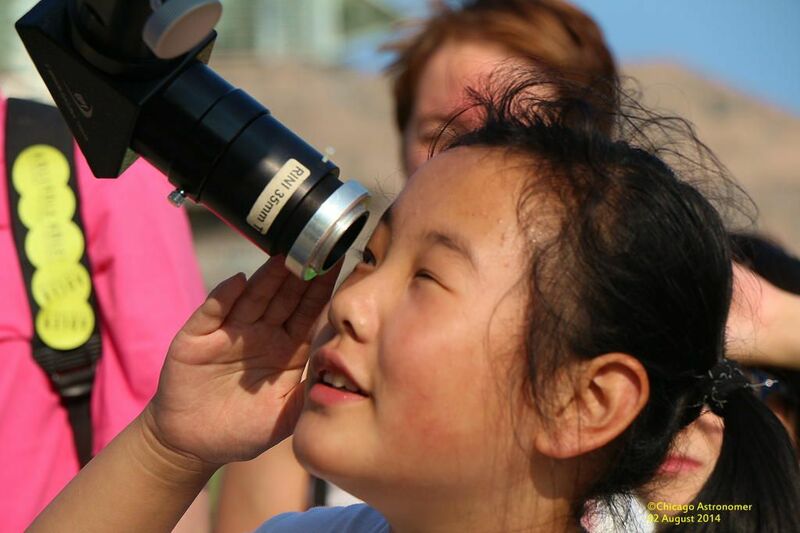 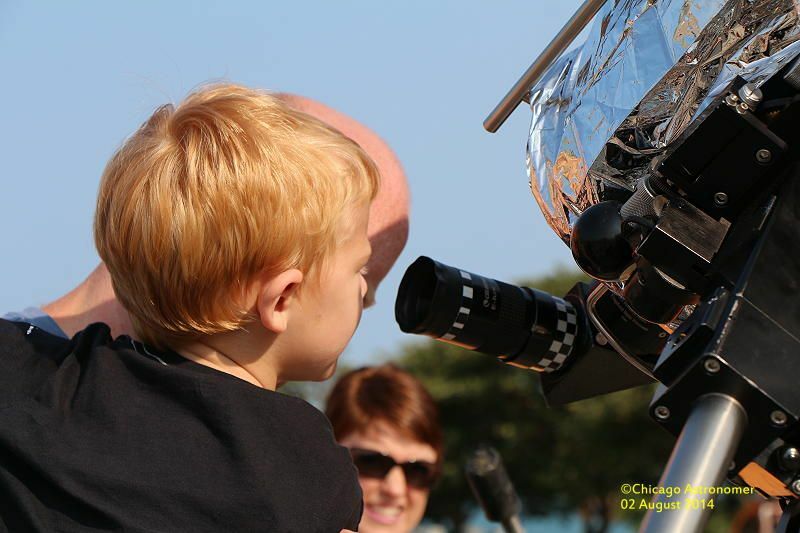 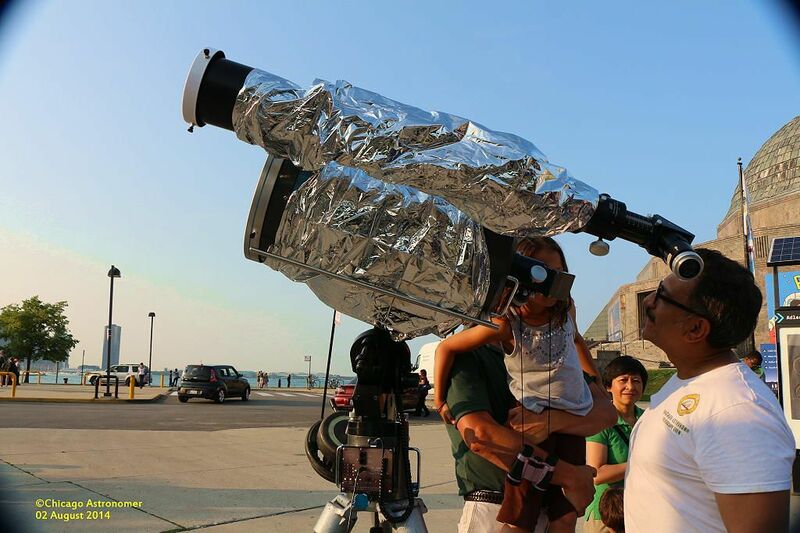 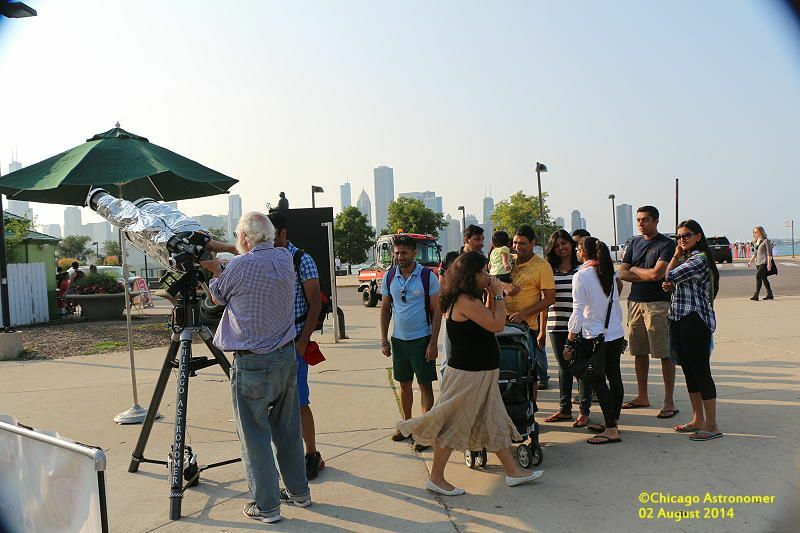 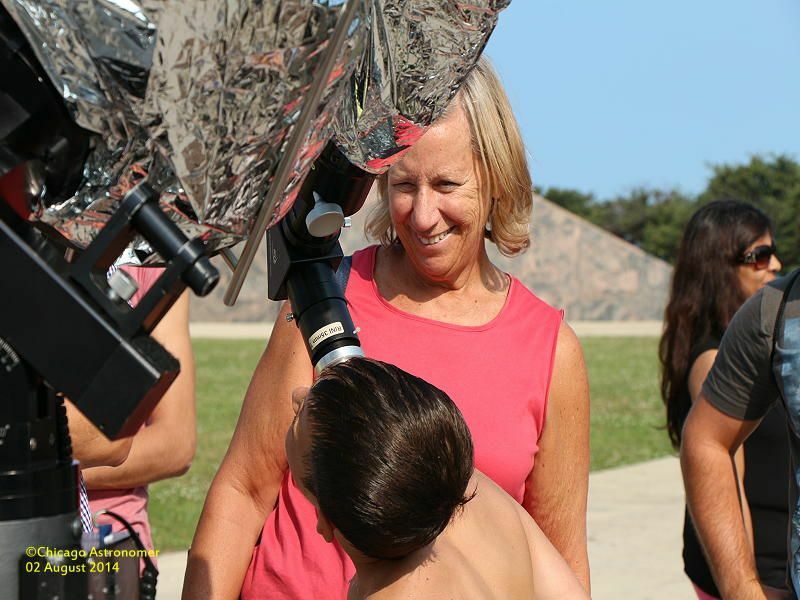 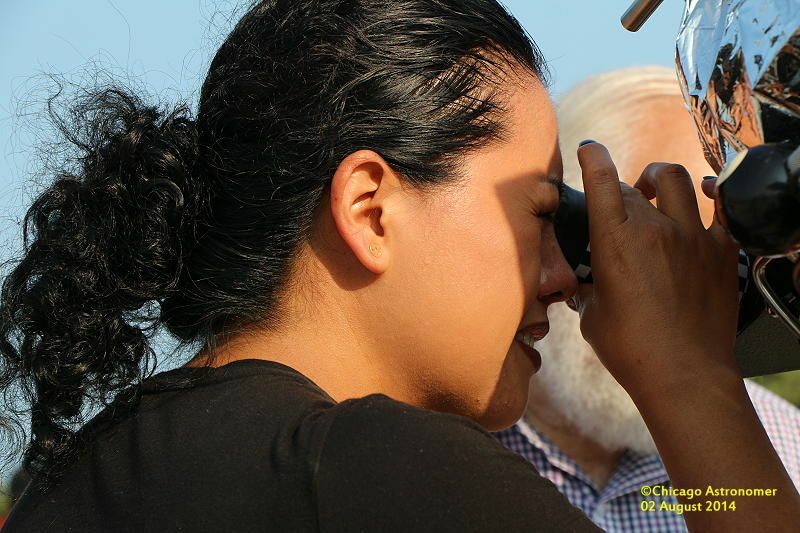 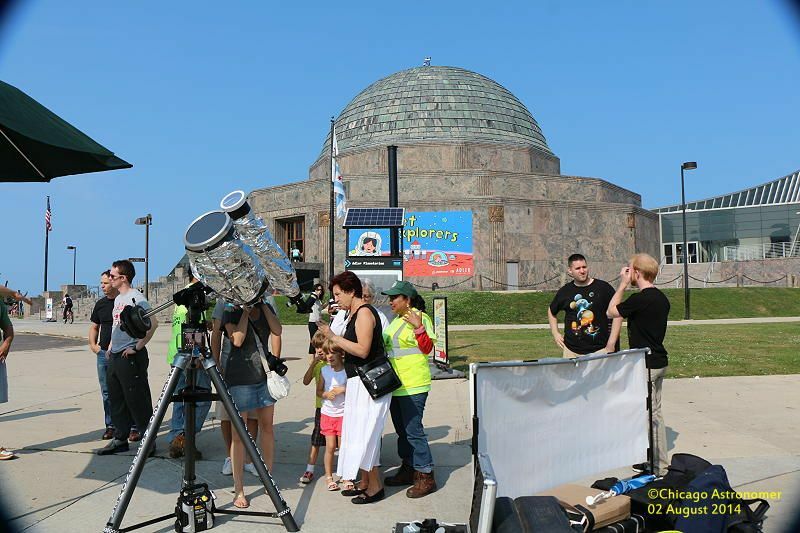 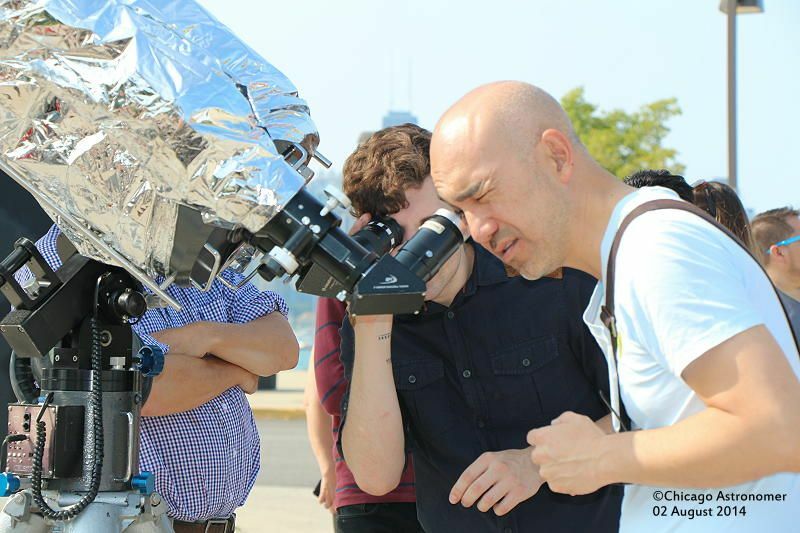 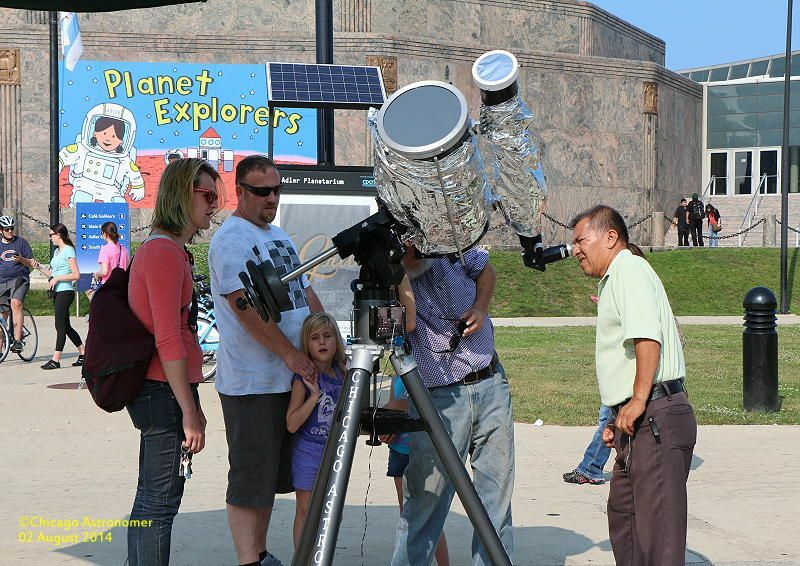 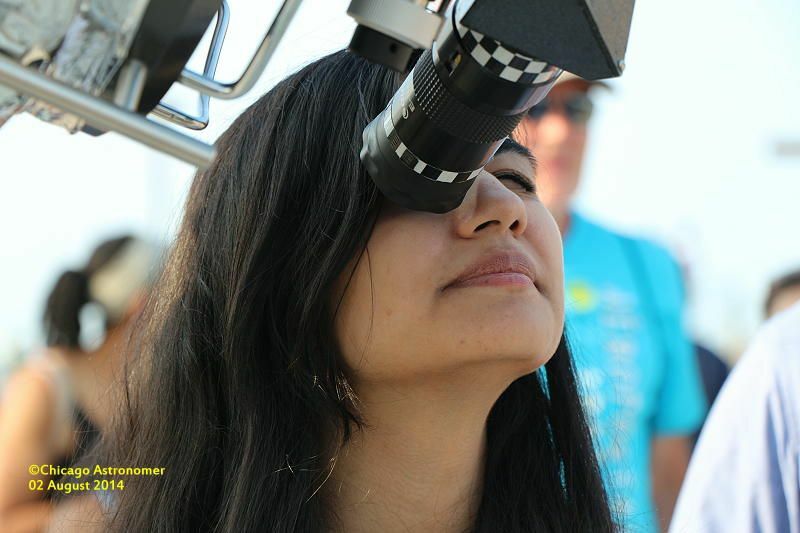 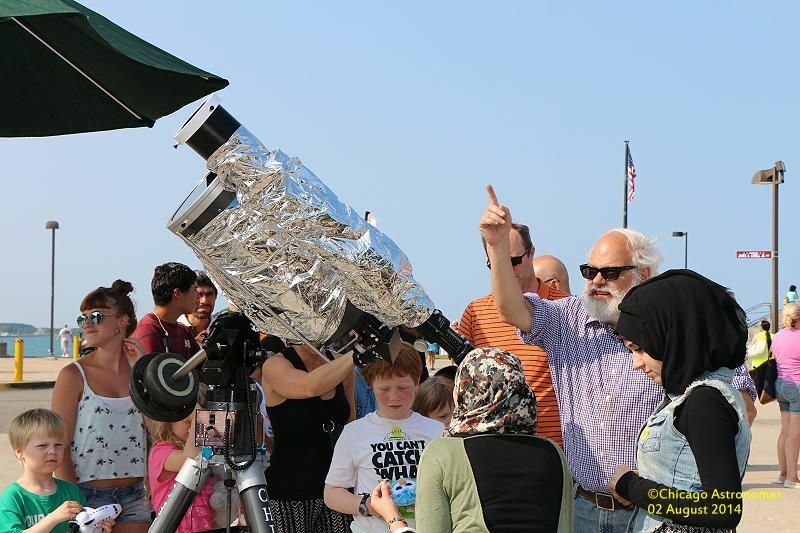 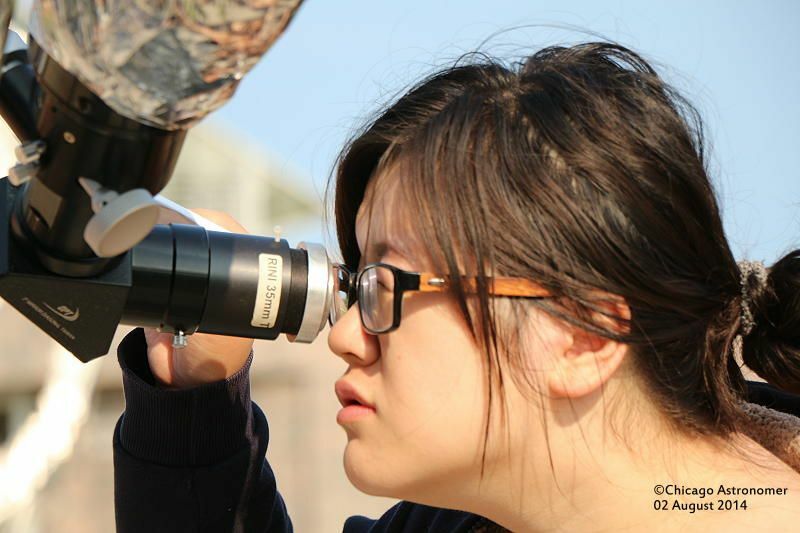 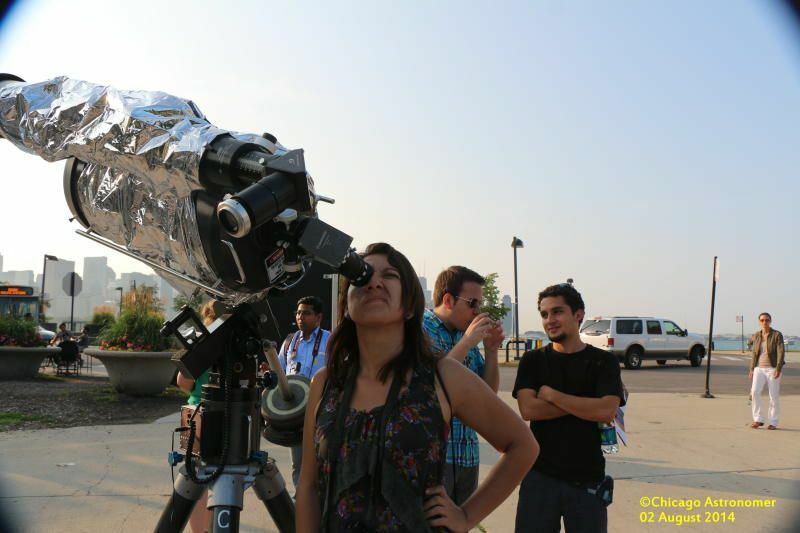 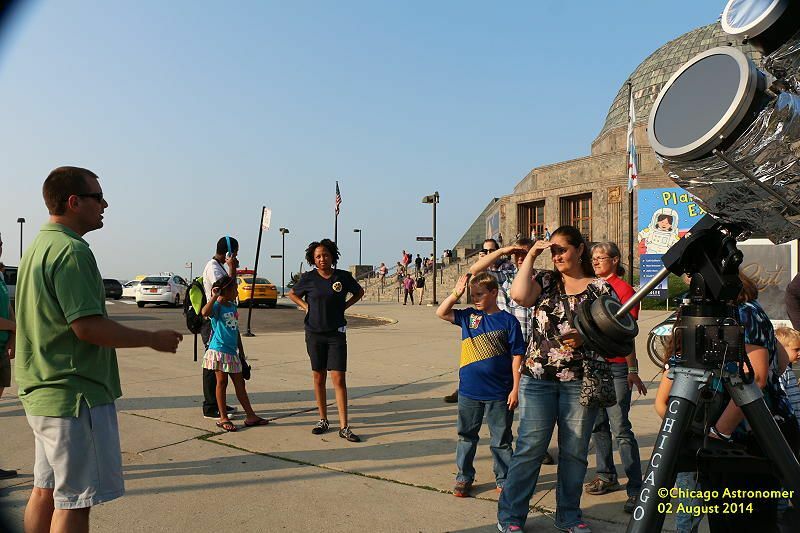 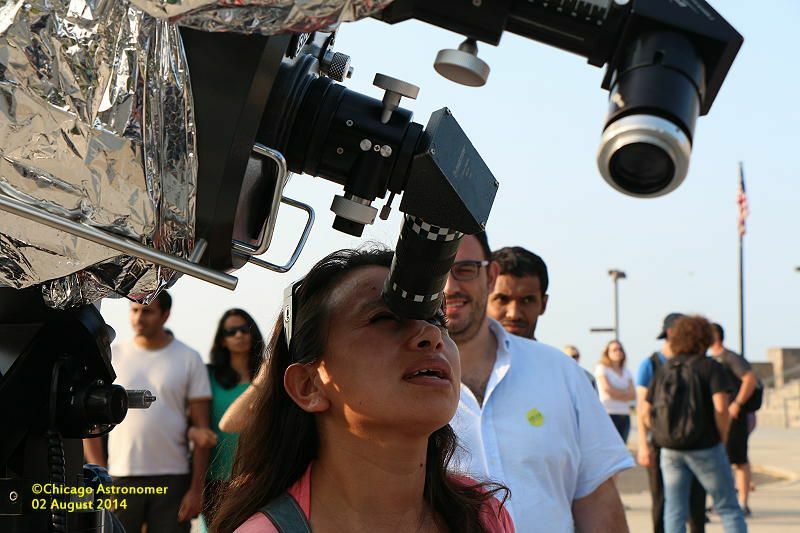 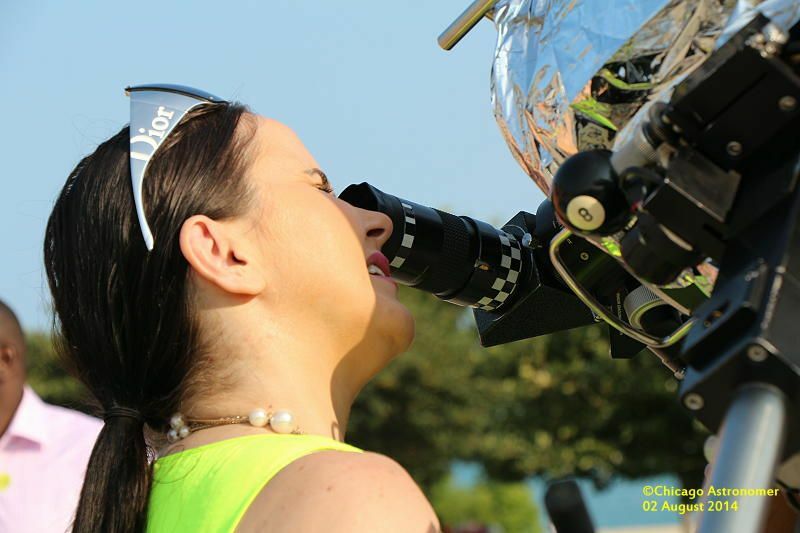 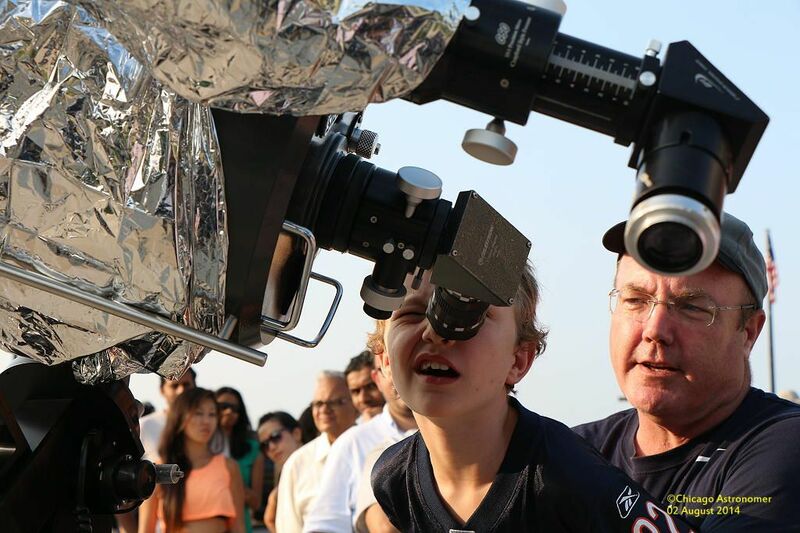 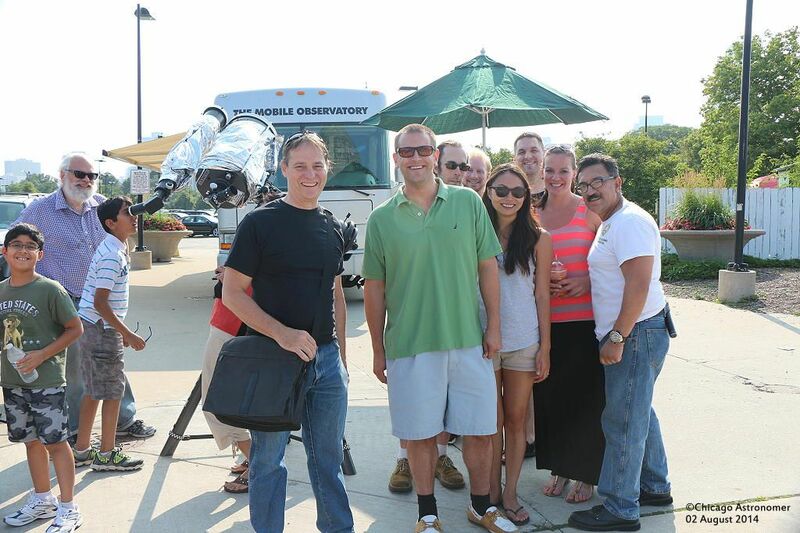 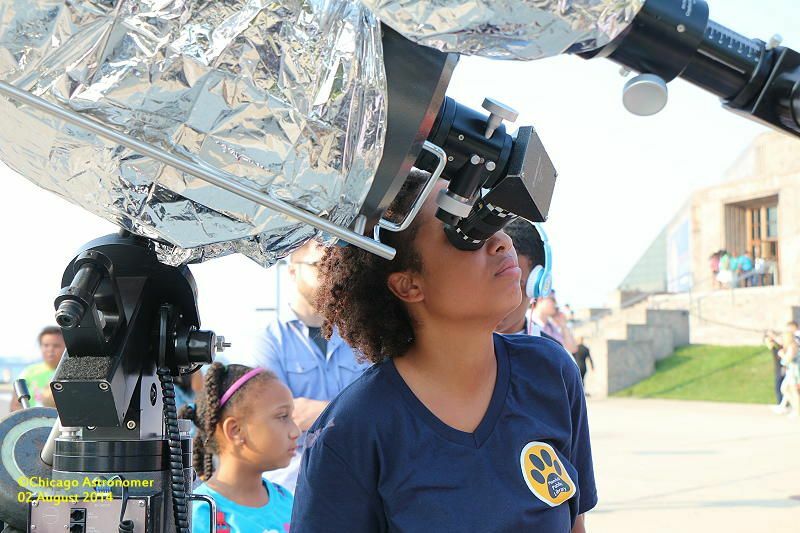 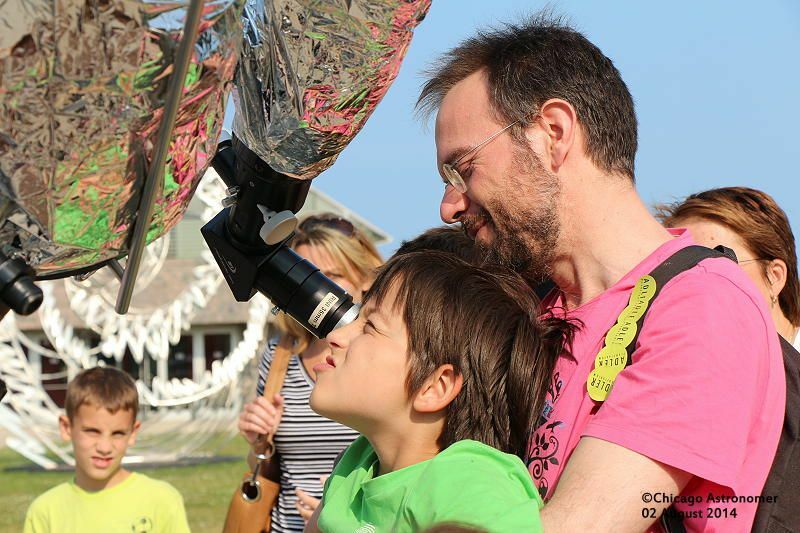 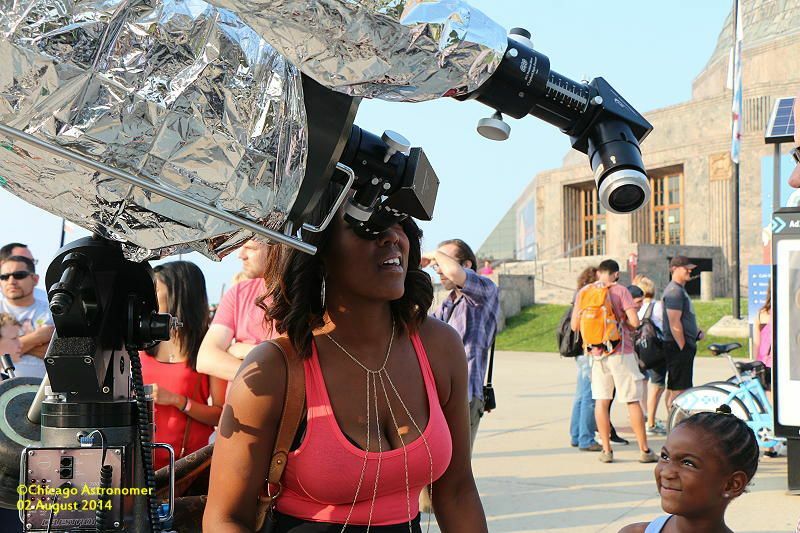 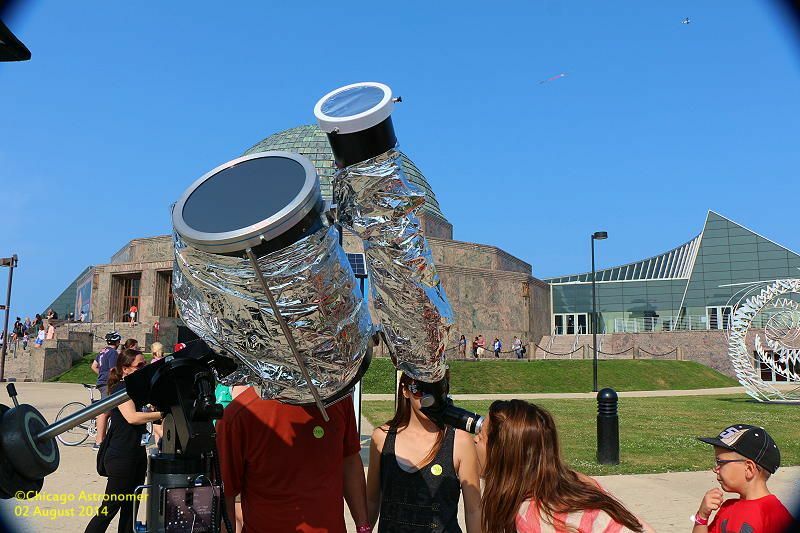 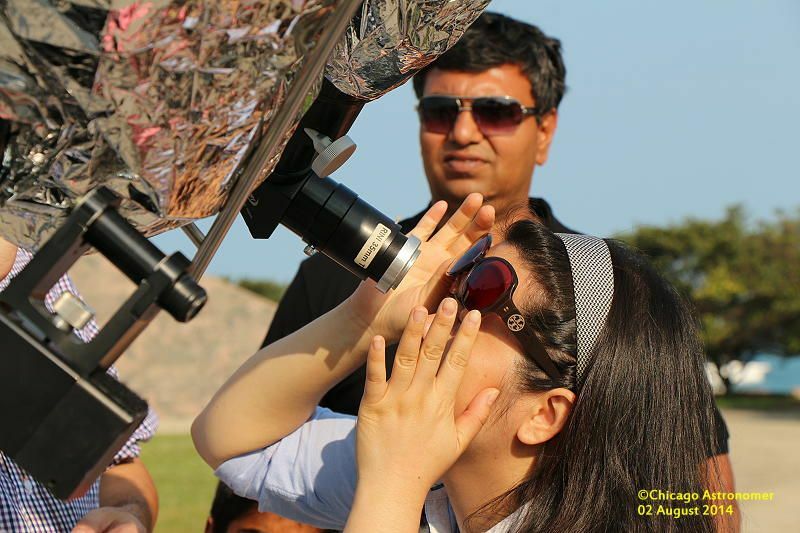 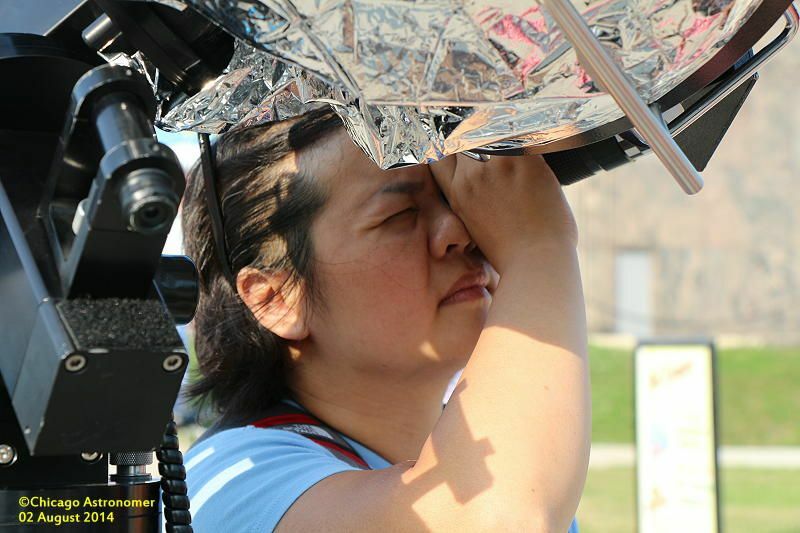 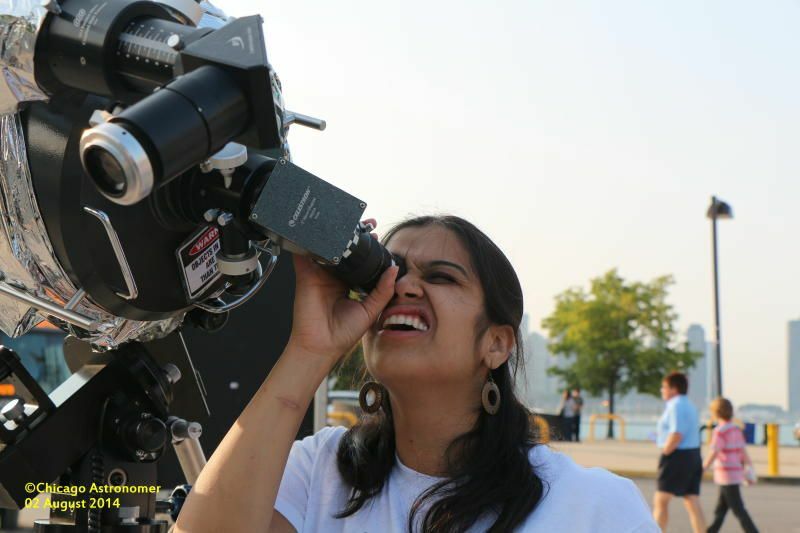 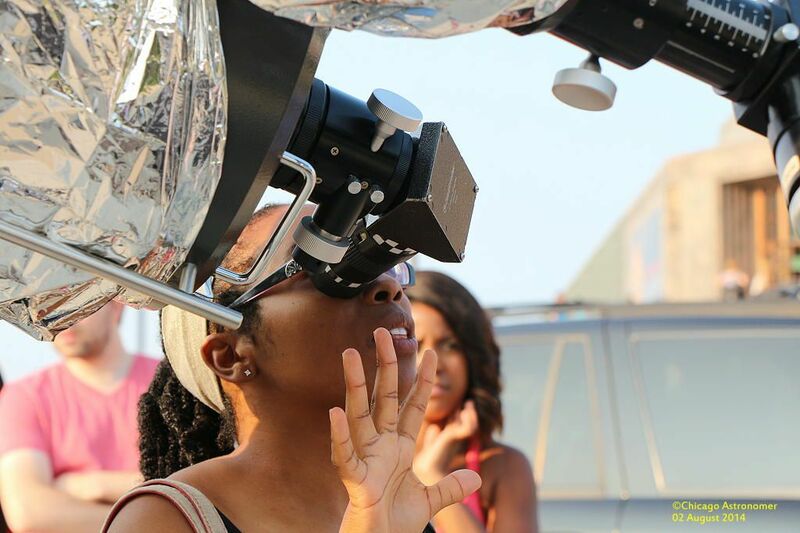 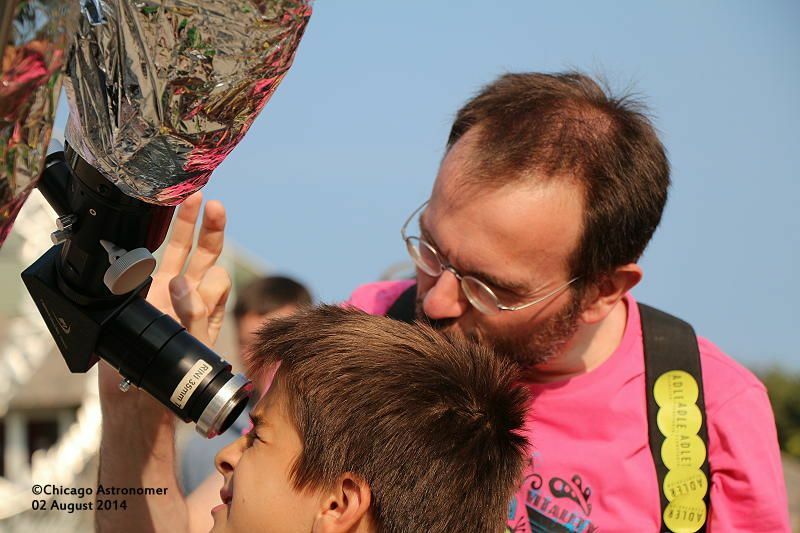 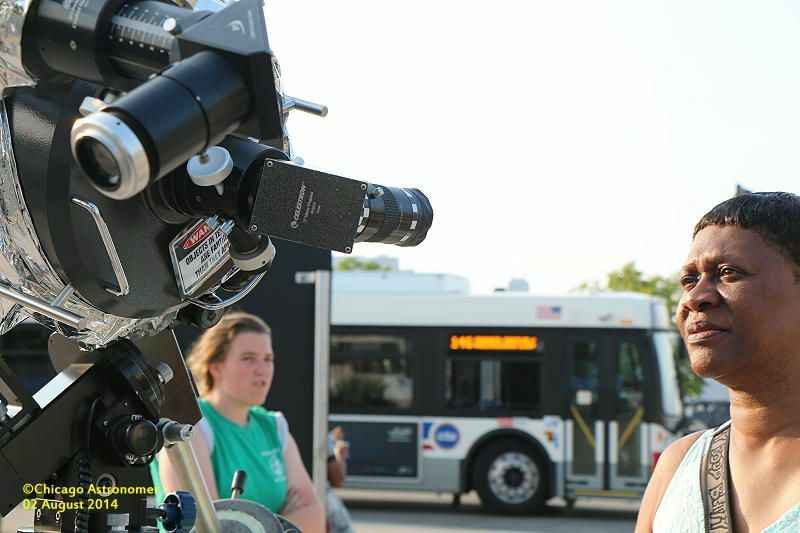 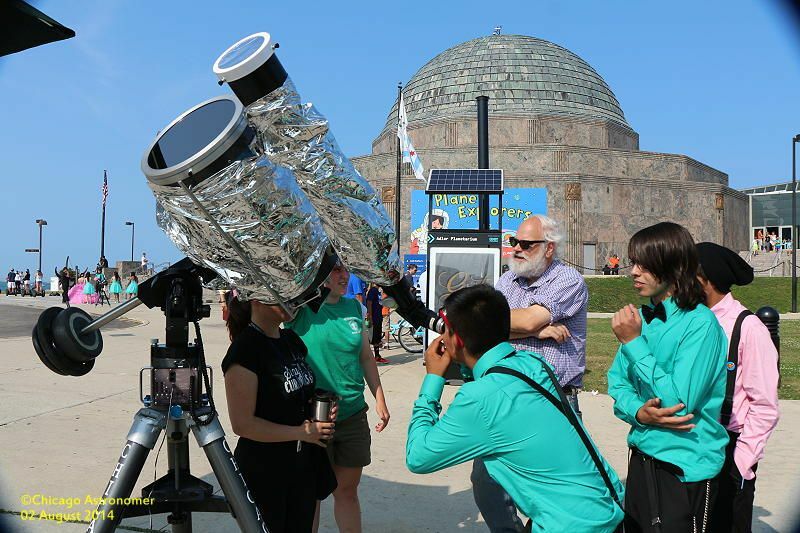 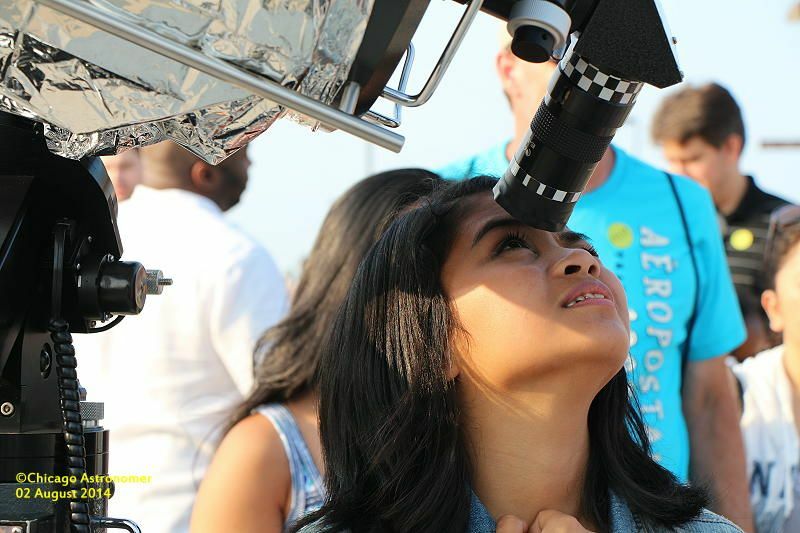 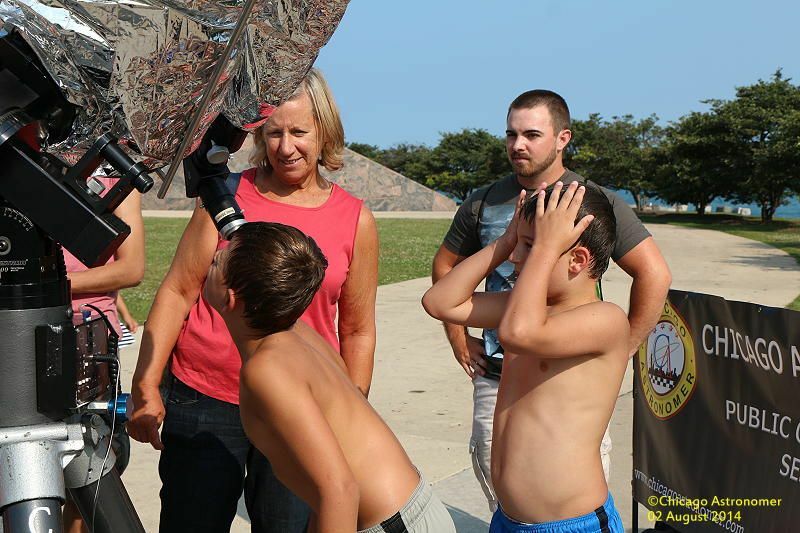 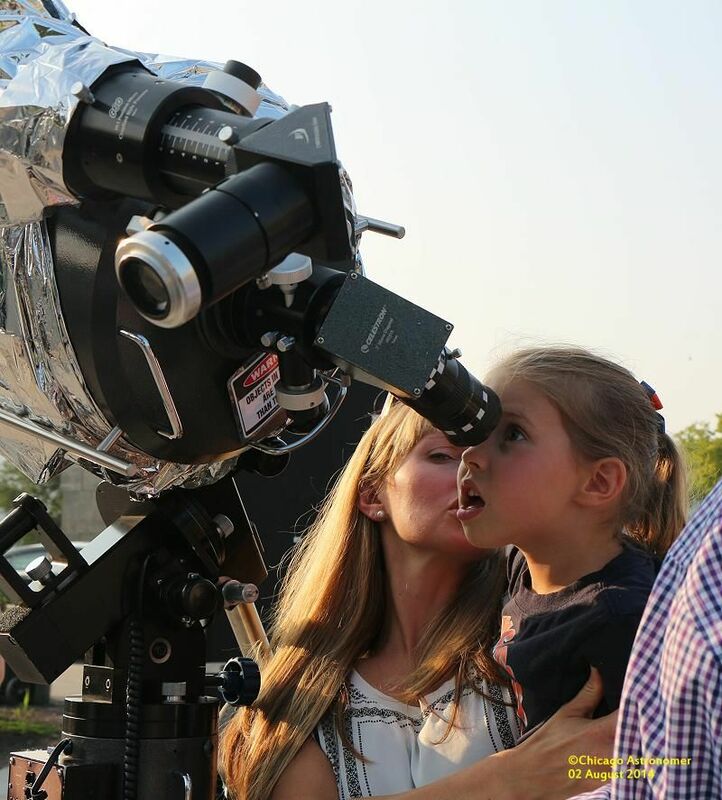 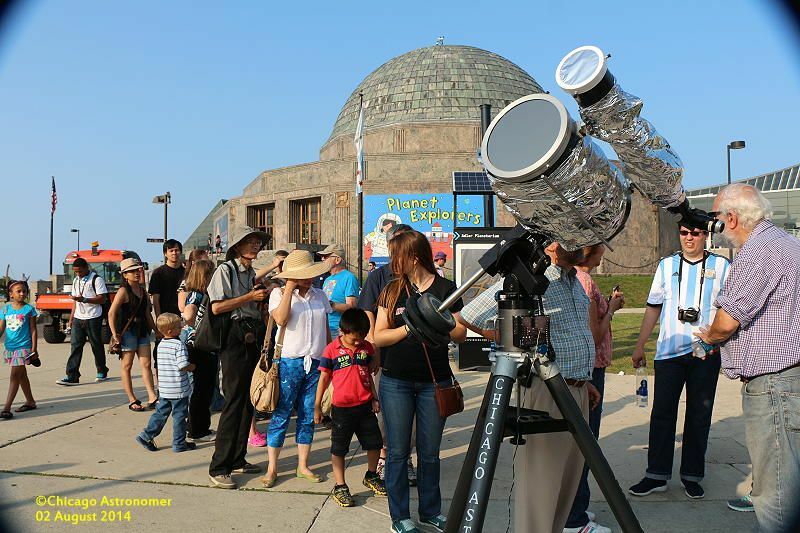 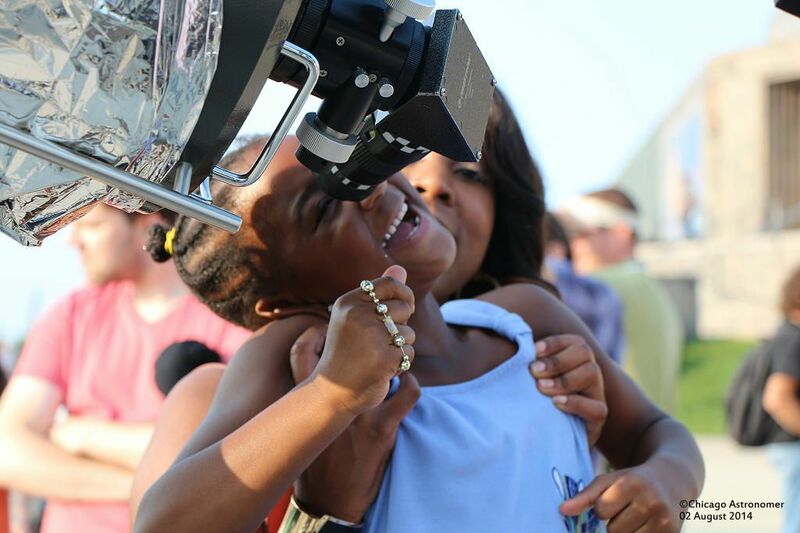 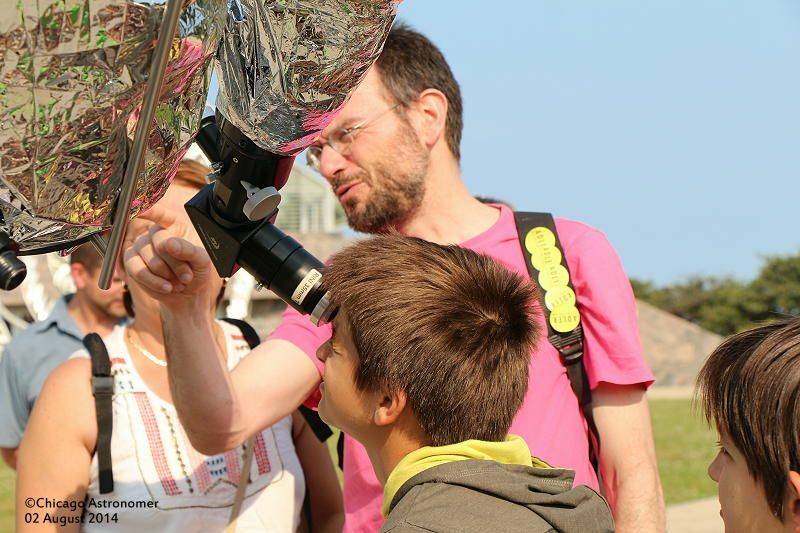 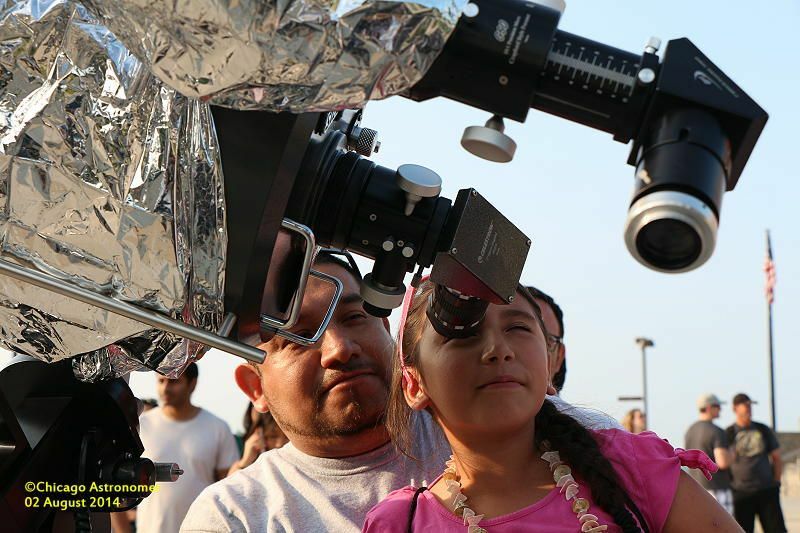 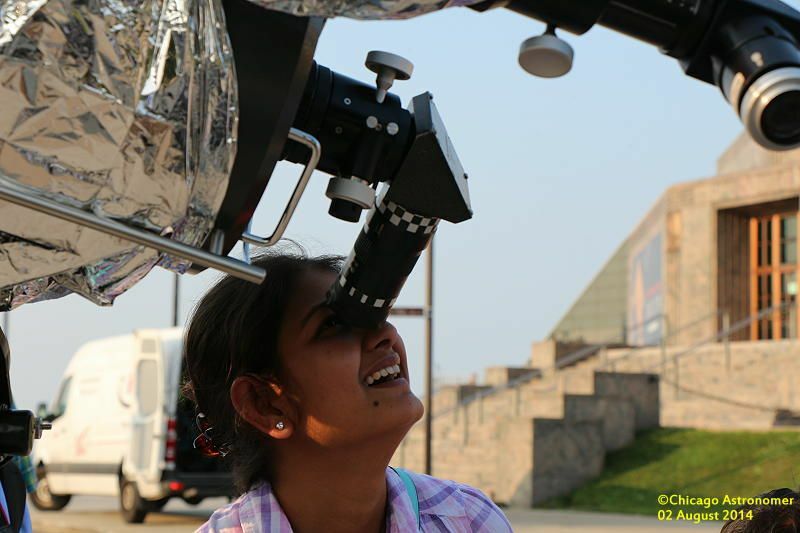 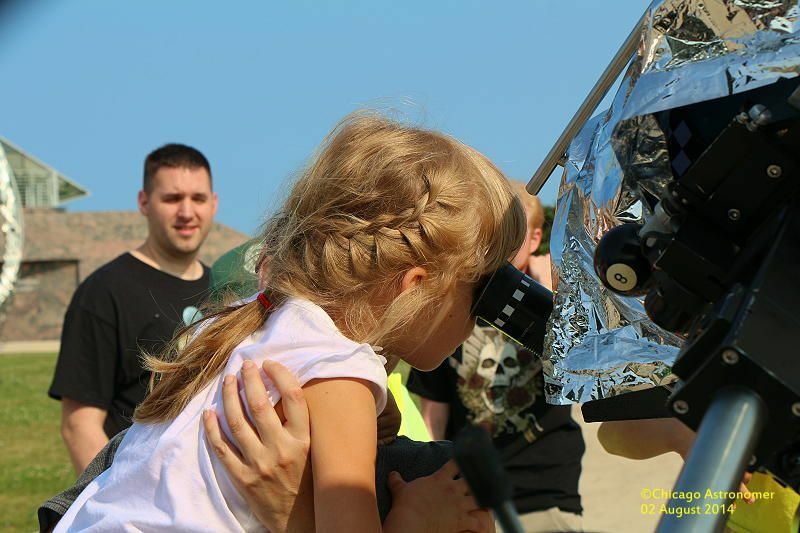 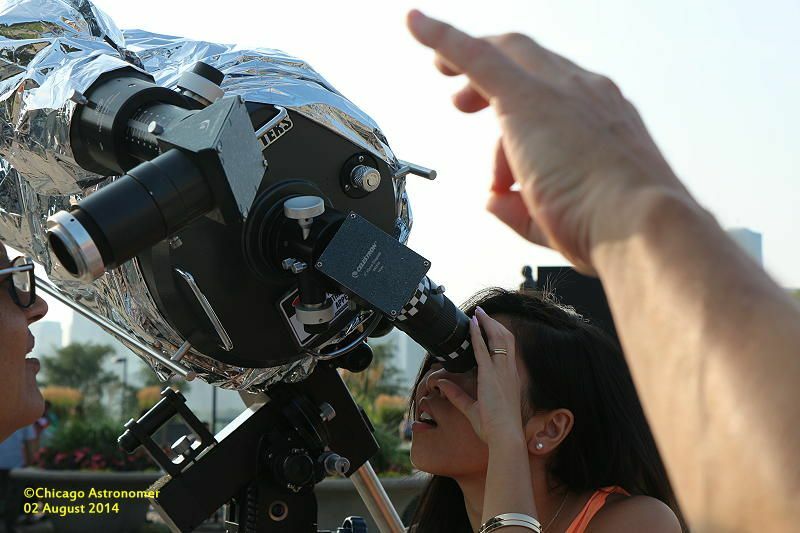 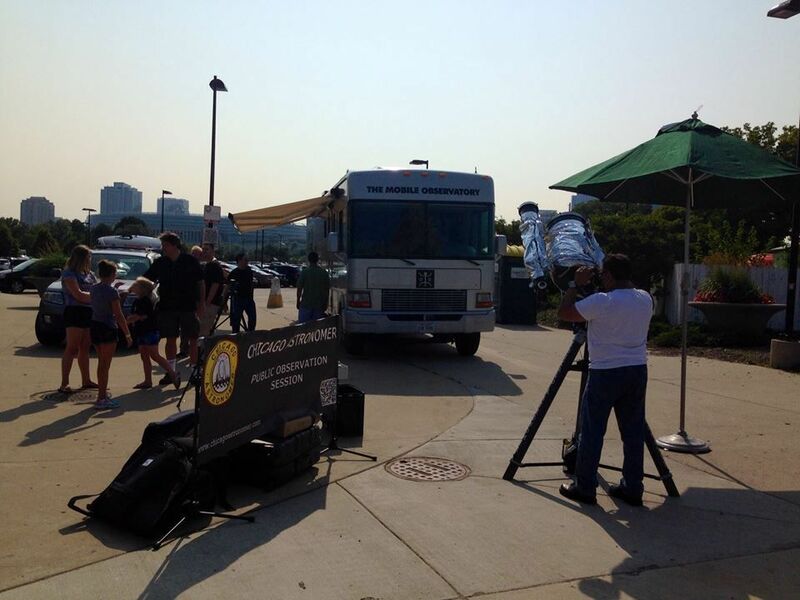 After sometime working the logistics out, the Chicago Astronomer and the Chicago Park District hosted the Mobile Observatory in their visit to Chicago, sharing views of the solar face and discussing solar phenomenon with our fans. 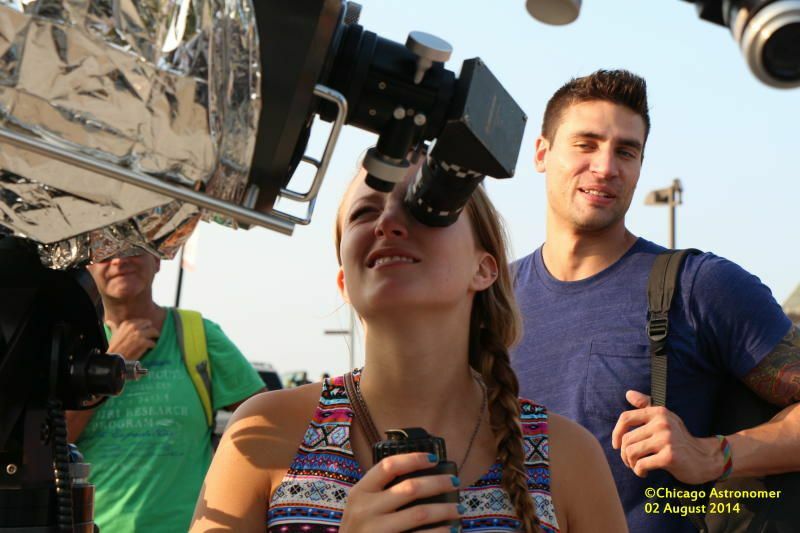 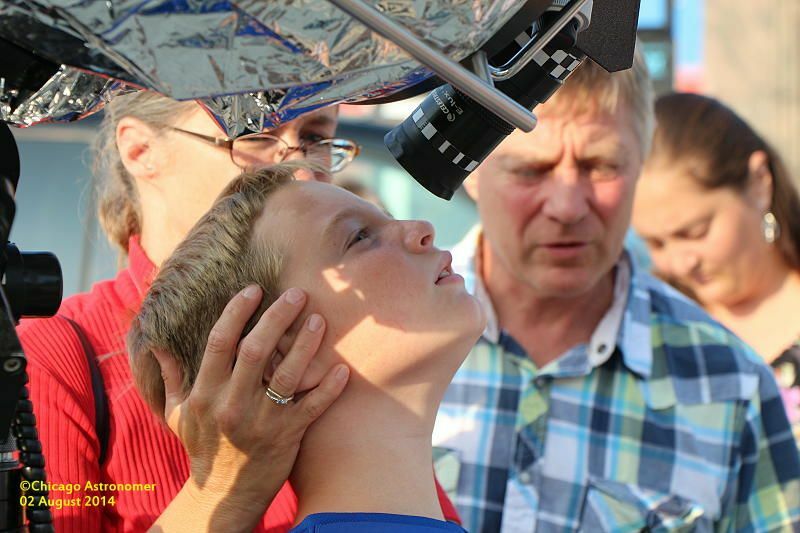 Ben and Katherine operate the Suspicious Observer where solar weather is explained and examined. 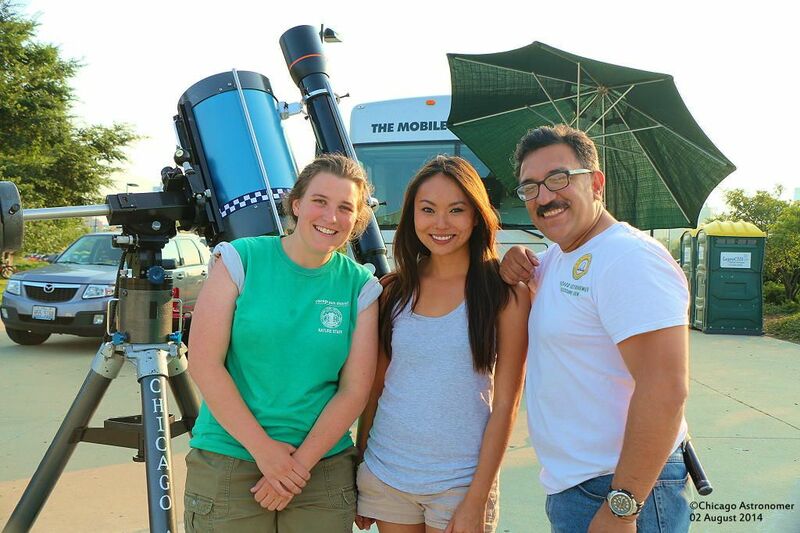 They travel the country, making stops and chatting about the Sun and related subjects. 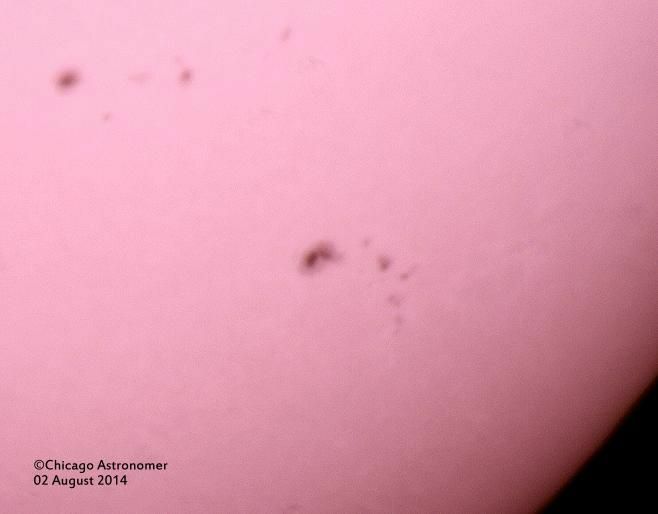 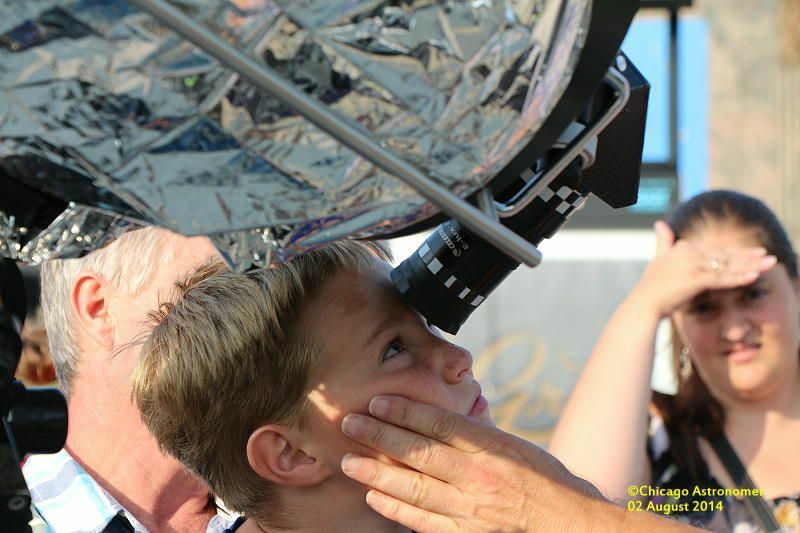 Decent sunspots and surface features to share and enjoy at our event. 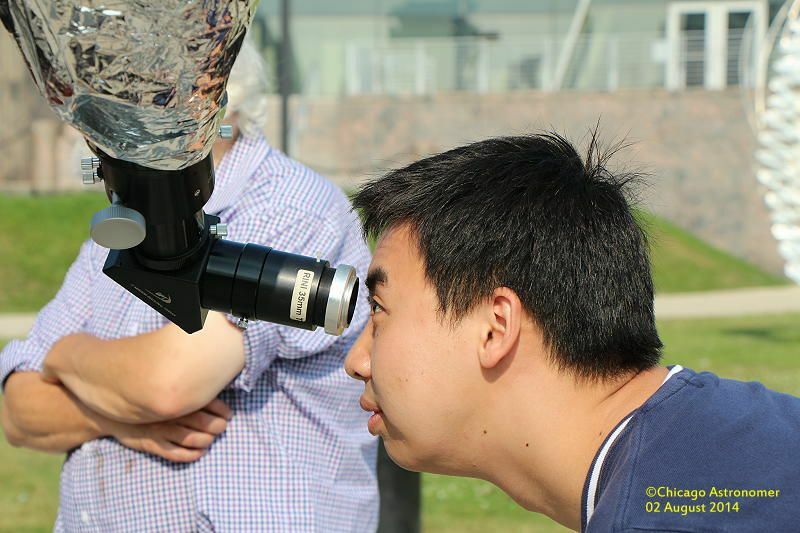 I keep the magnification low and use both the C11 and C102mm refractor for dual observations simultaneously, using a yellow filter on the C11 and none on the C102mm, capping both with white light solar filters at the aperture. 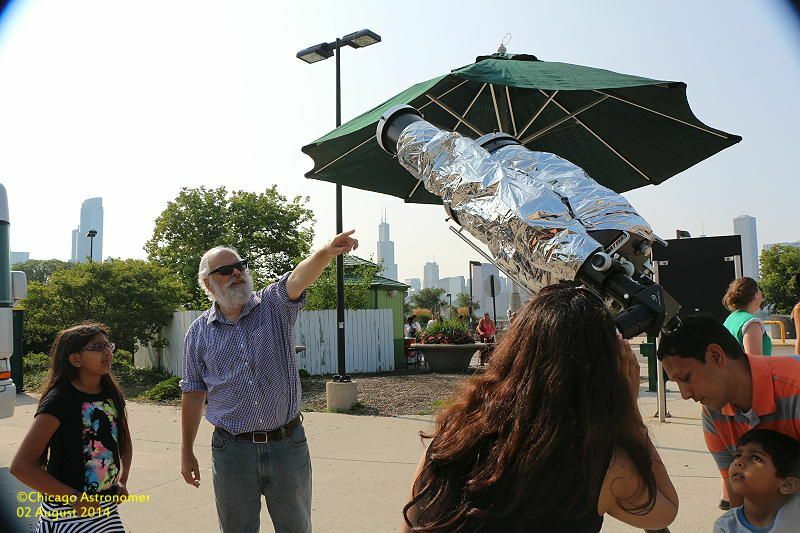 Tom Kirk, fellow Telescope Facilitator at the Adler with me, stopped by...and greatly assisted with the session. 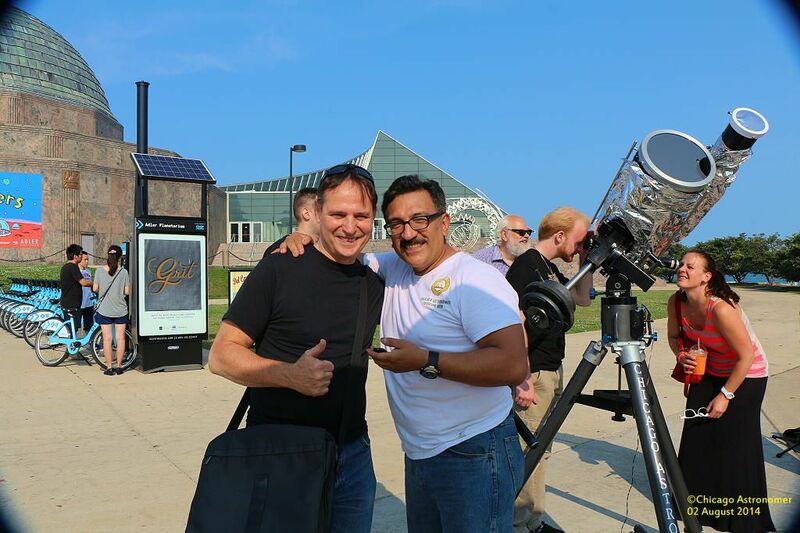 As a matter of fact, he took over the duties, attending to our guests and informing them on solar facts - freeing me up to take pics and mingle. 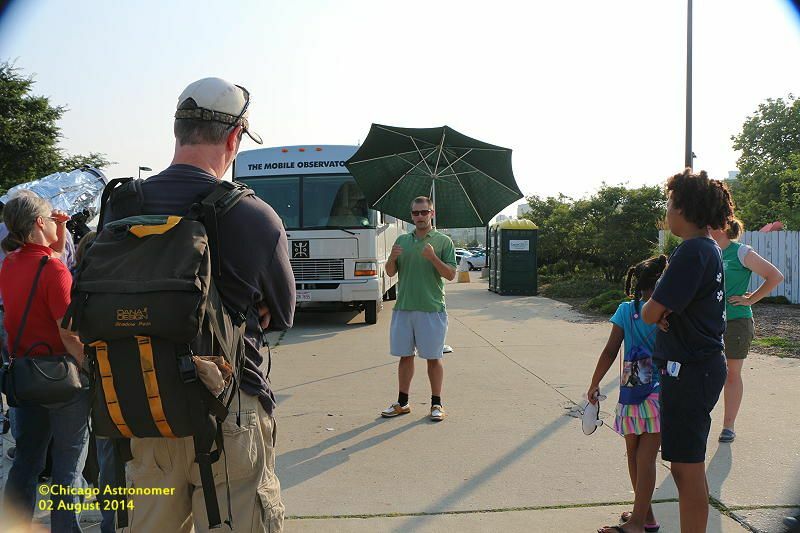 Thanks Tom....! 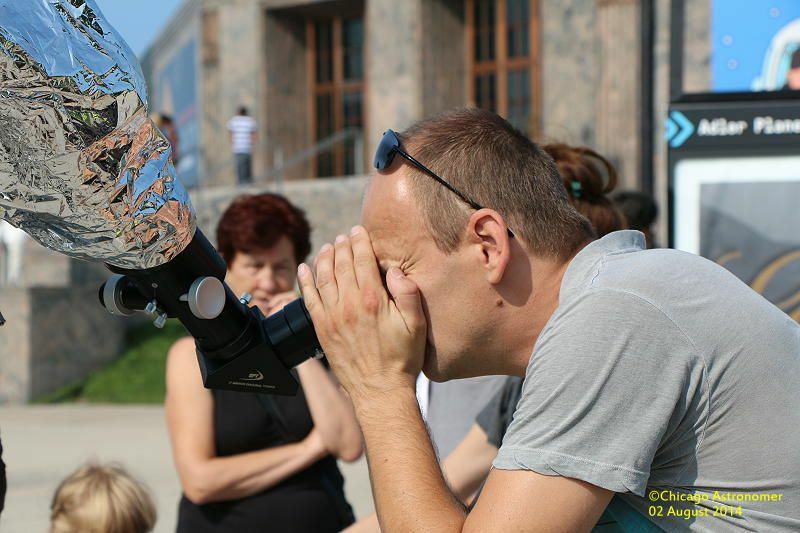 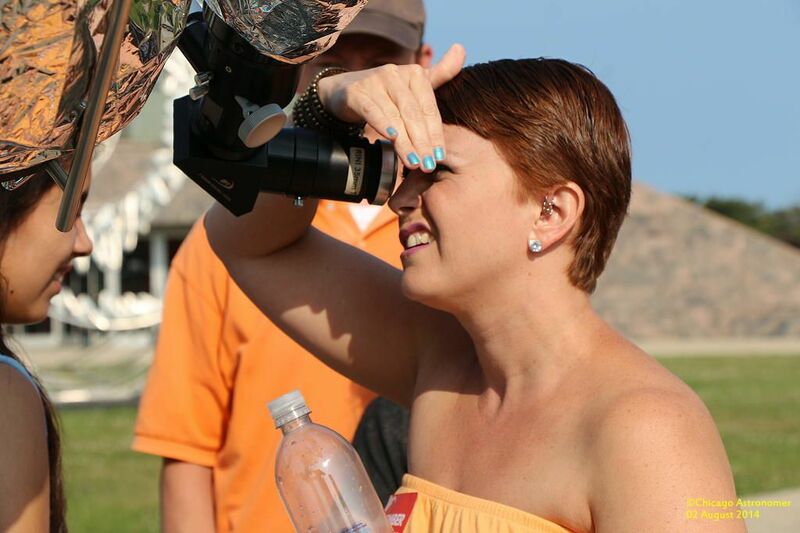 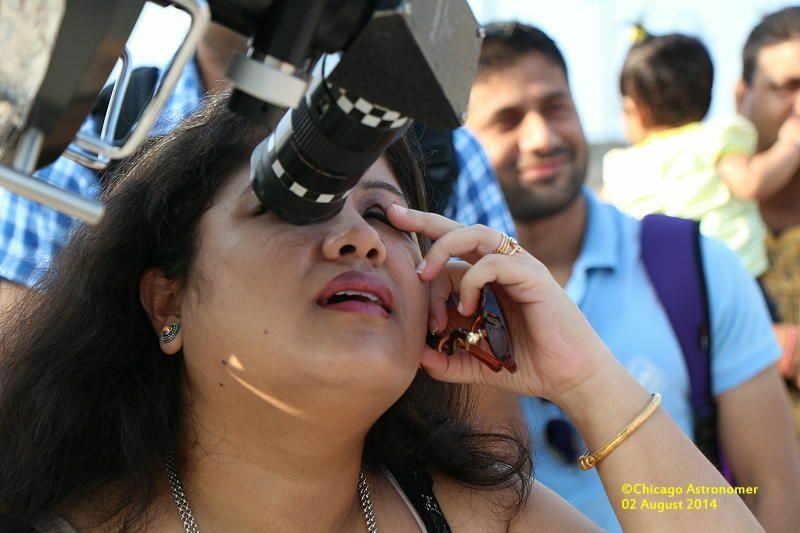 Everyone has their own way to look through a telescope, some see the object better than others. 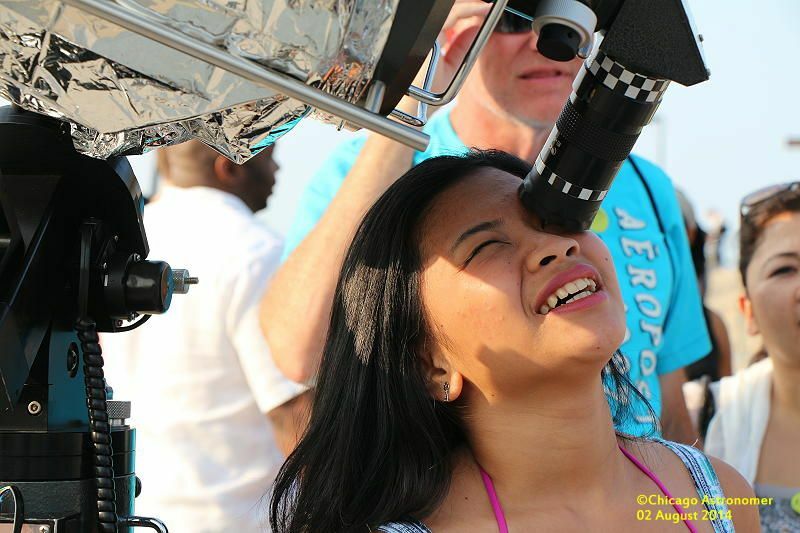 Too close, too far, off-center, both eyes open. 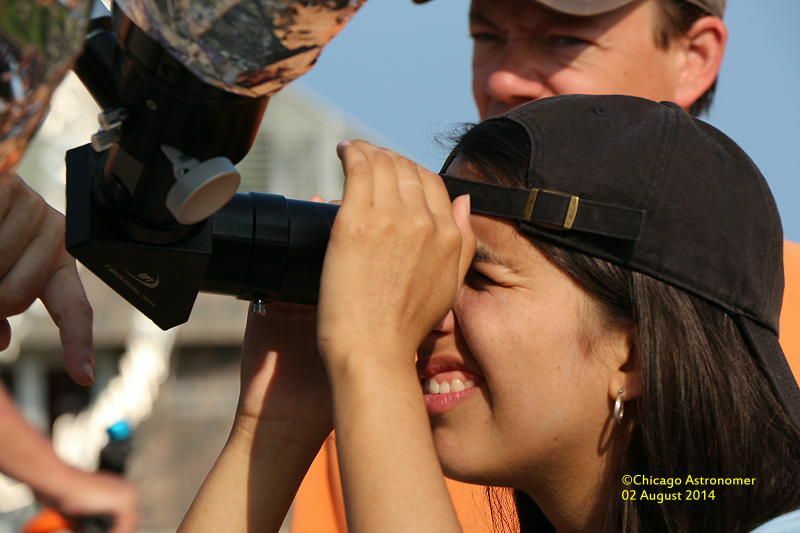 We attempt to guide as best we can, and most succeed, but alas...some just don't get it and we have to move on. 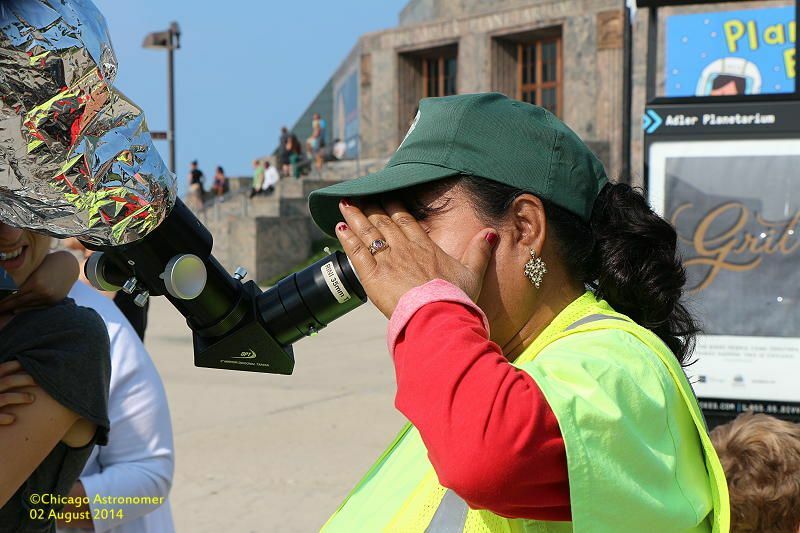 Sometimes we get "I don't see anything" from first time observers. 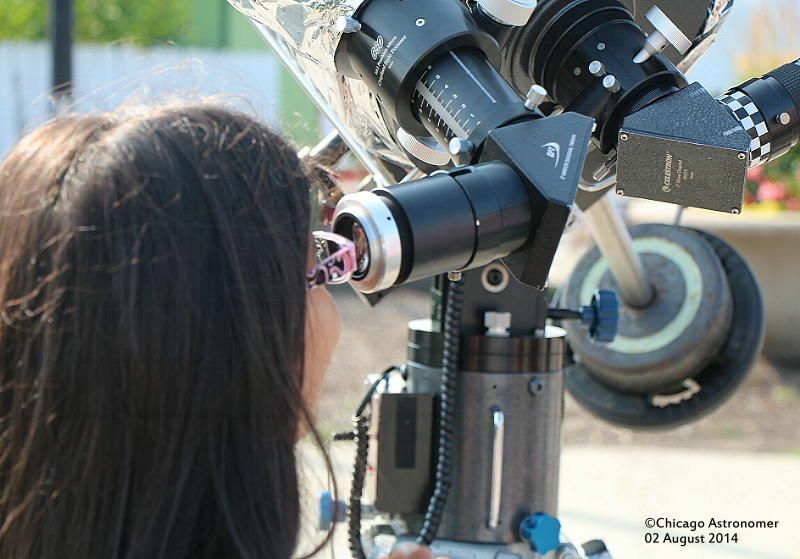 I check to see if the object is still centered, as sometimes the scope gets moved, but usually it's ok and I instruct them to try again. 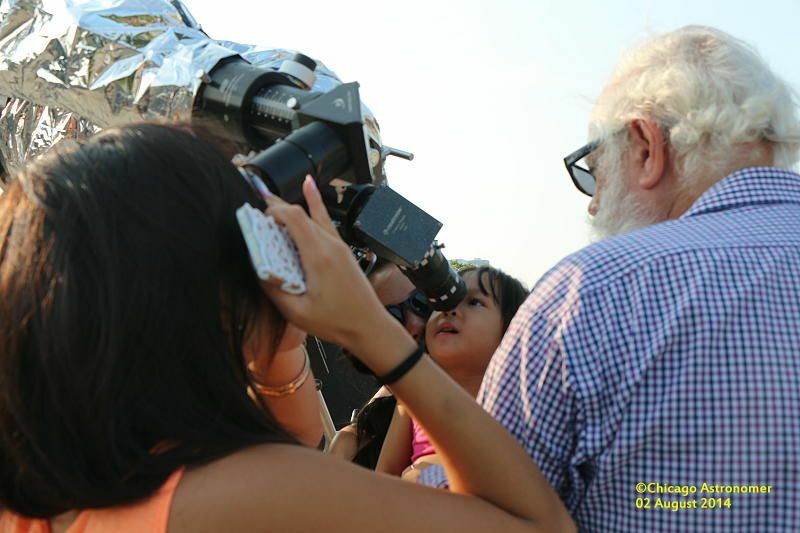 And here is the man who made it all happen. 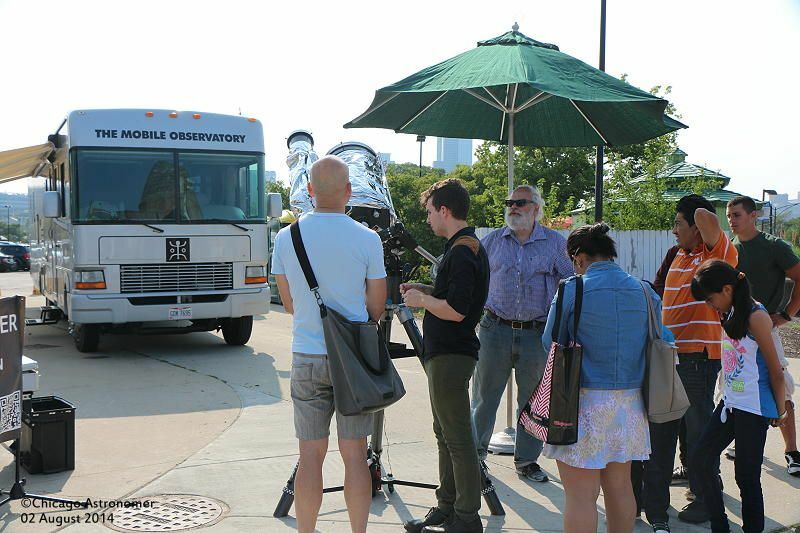 John, who made the inquiry to the Mobile Observatory on the possibility of joining up with the Chicago Astronomer, stopped by and enjoyed spending time with Astronomers looking at the Sun. 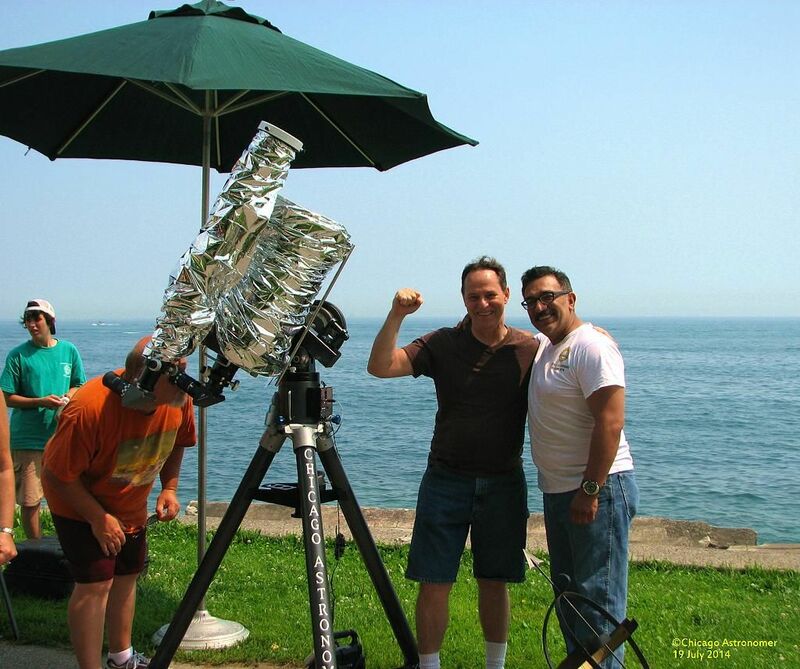 And Gary, (right)....another fellow Adler Planetarium Telescope Facilitator stopped by and attended to our fans - making my job all that much easier. 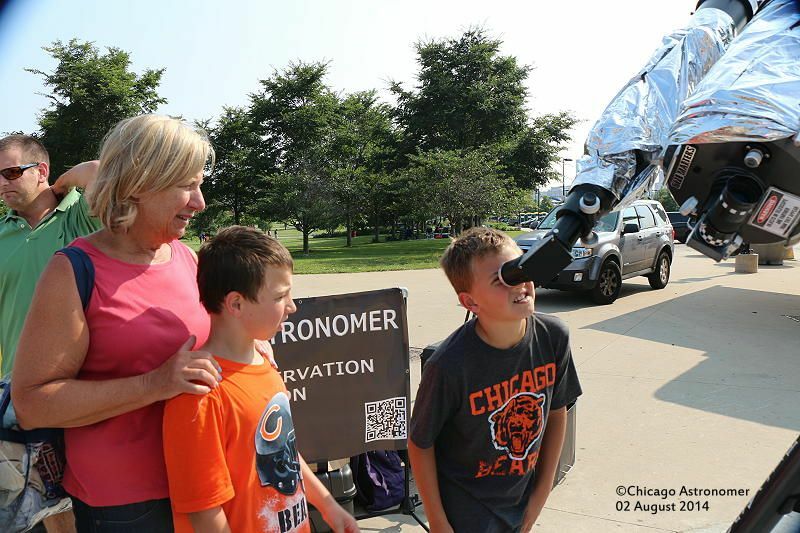 A shout out to Chicago Park District's Ann, (left), who assisted at informing the immediate public about our session and invited them over to share the Sun with us. 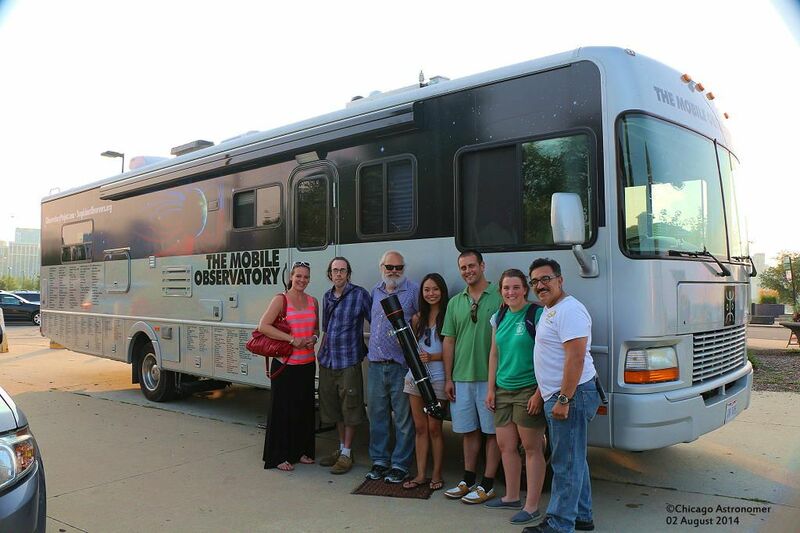 Shown is Katherine from the Mobile Observatory with us. 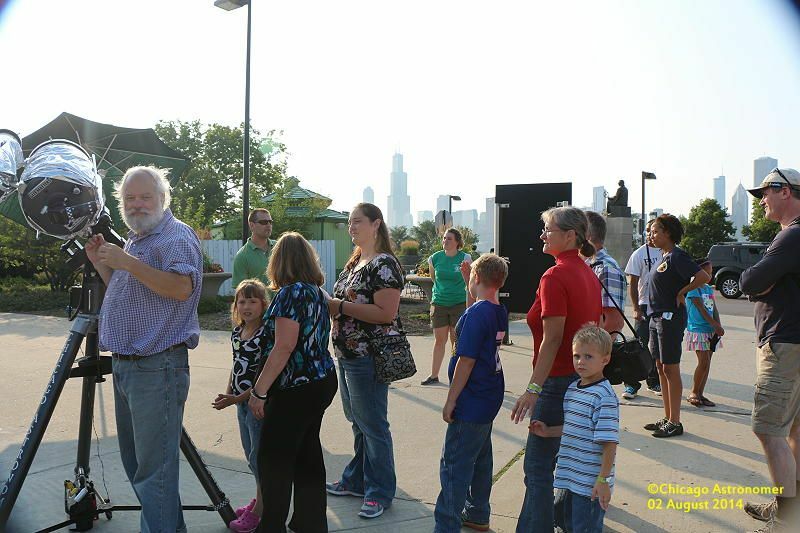 Glad they made the trip into the city....!